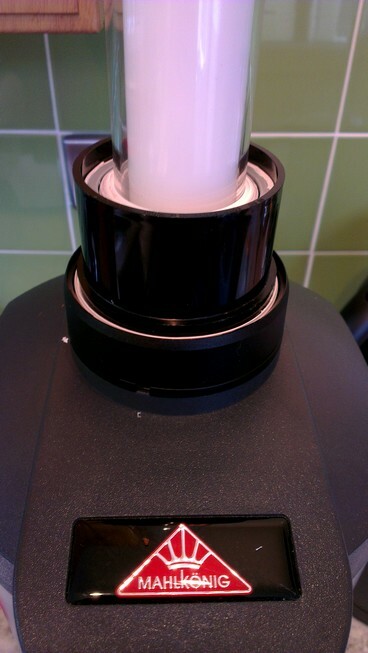 I’ve had grind samples from some of my coarse/filter grinders at home and at work analysed a couple of times over the last year, via laser particle sizing, and have just submitted a new batch of samples which focus on some areas currently of interest to me. This is made possible by @mathewsmith1 who is absolutely awesome for taking the time to make this sort of analysis available to me. I’ve posted in the past more detail about the specific nature of the particle sizing conducted, and some of the related topics, and this is available in previous posts on the blog. I find the process and the information both fascinating (fun! ), and illuminating. 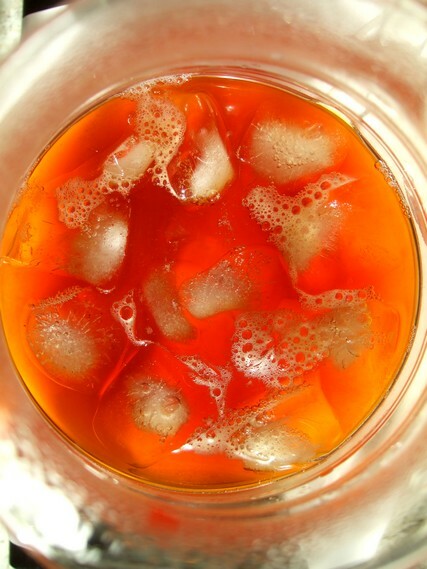 It helps to inform and reinforce all the other information I gather and write up about my brewing. 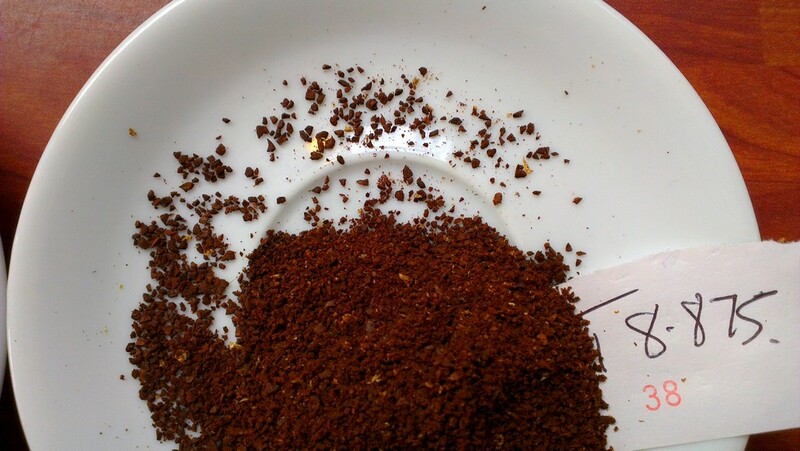 This time around, I wanted to hone-in on a couple of grind settings on my filter grinder at home, a Mahlkonig Tanzania (which I’ve modified with a weighted hopper to minimise and counteract the effects of ‘popcorning’ when single dosing). 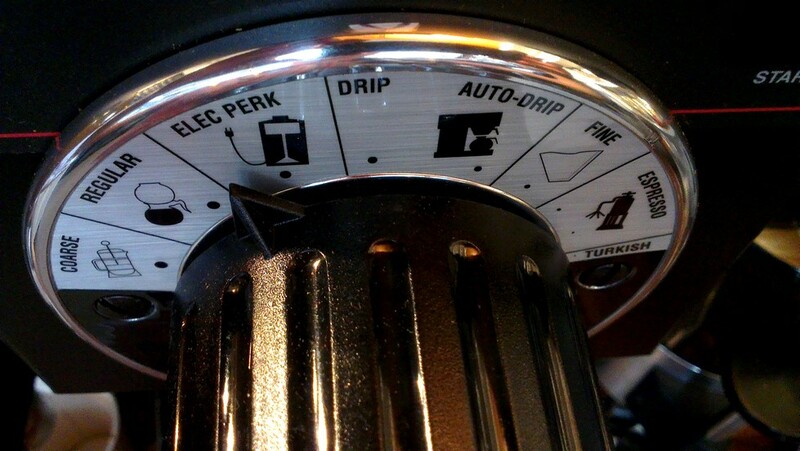 Specifically, I wanted to look at a couple of settings around a medium drip grind that I use for some pourover brew methods, and several settings close together right up at the coarse French Press end of the scale. 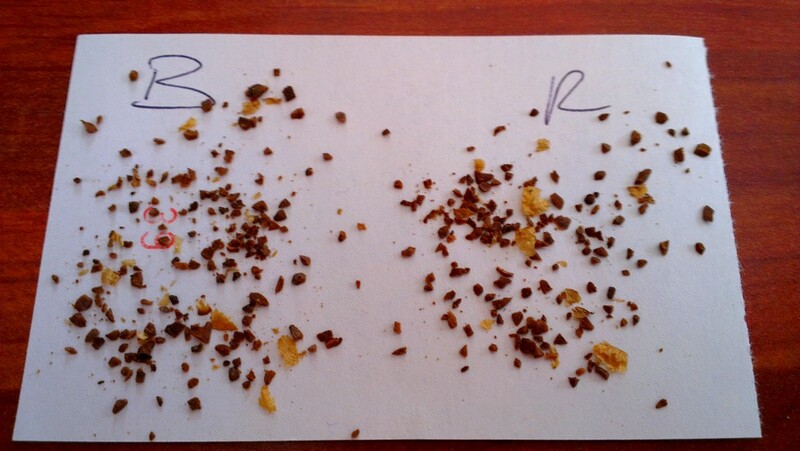 And, I wanted to assess and compare the particle size and distribution curves of a sample from the plan cafe’s fairly new drip and FP grinder, our Bunn G3, with my Tanzania. 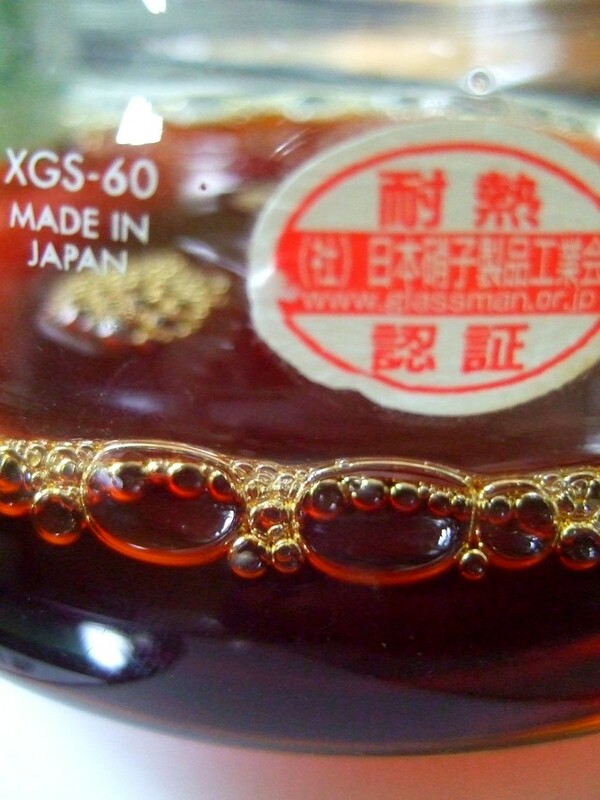 The Bunn is a well-known drip grinder that is widely used within modern speciality coffee circles, especially in the US, and it’s fairly highly regarded. 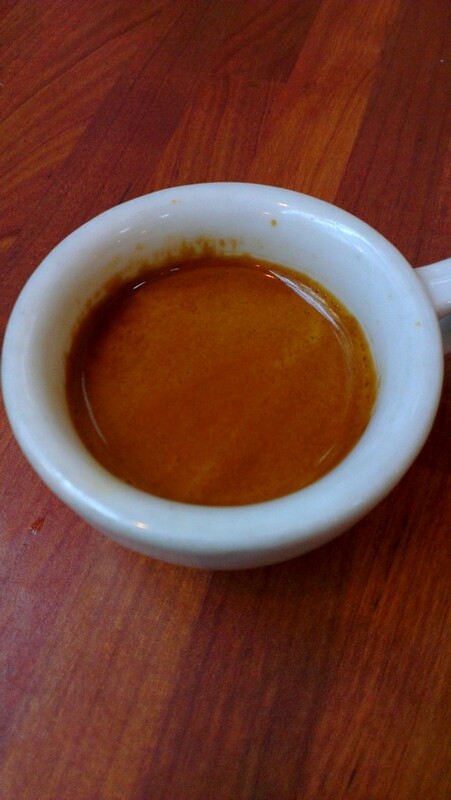 Admittedly, the stock, pressed, burrs are not nearly as handsome as those on many other top-end modern coarse grinders, such as the Tanzania, etc, but, there are certain features with the Bunn that help to mitigate and overcome this. I suspect the Bunn might still display a less ‘optimum’ curve than the Tanzania in some ways (it should do anyway, although I could be wrong). 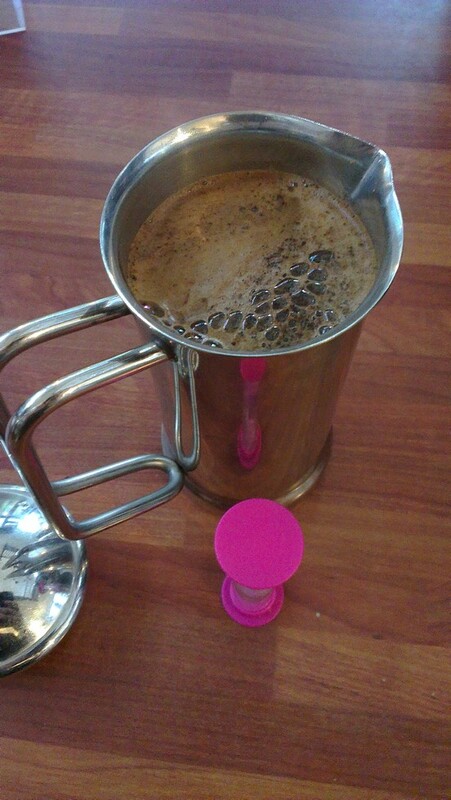 But, the Bunn does make some very tasty coffee all the same (which raises other questions about what is actually optimum, and how this affects brewing …another topic). 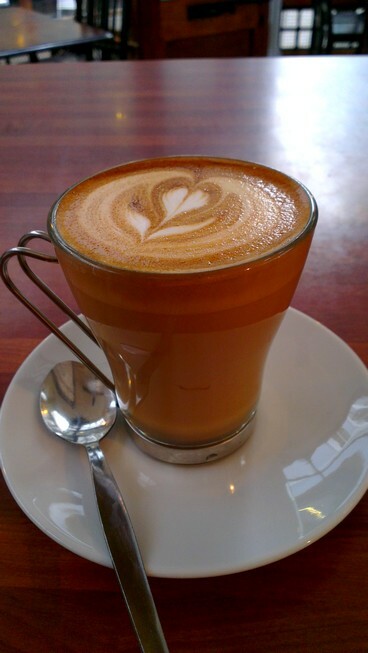 Then, a local coffee enthusiast Mukhtar approached me with news of his newly acquired Hausgrind Made by Knock hand grinder, and expressed interest in having the grind laser analysed. I had already heard about the Hausgrind. They are one of a few new hand grinders coming out recently (like the OE Lido and Lido 2 for instance) that have been specifically crafted to produce exceptionally uniform grounds in the medium to coarse range used for filter and FP methods – and which are potentially comparable to the top commercial electric grinders, like those mentioned above (along with the likes of the Uber, EK43, Dittings and other Mahlkonigs) (and with Varios with special steel filter burrs, and certain other Mahlkonig models, offering an option at the top-end of the domestic electric grinder range). 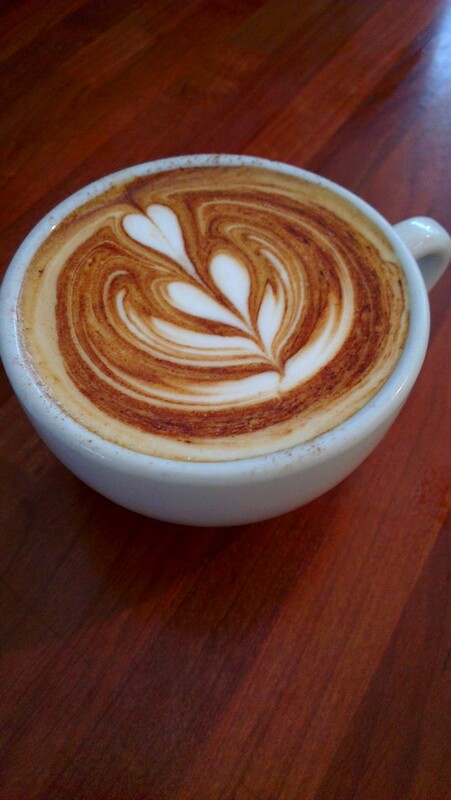 The samples I’ve seen, and tasted, from his Hausgrind seem really very good indeed. 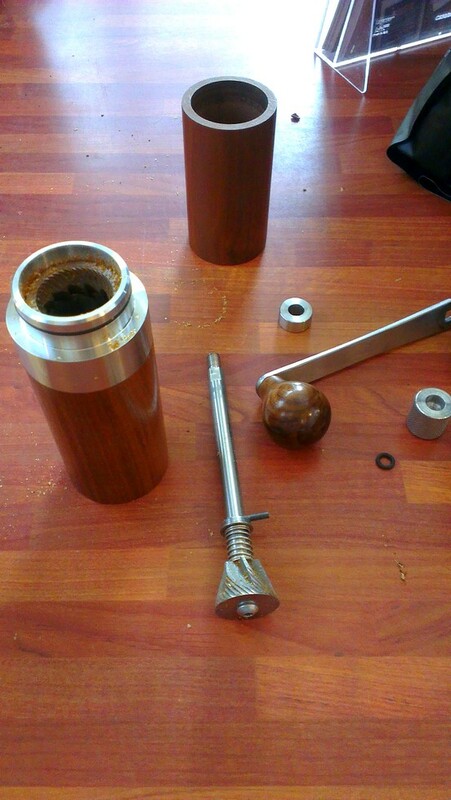 So, now, this has happily developed into a nice little comparison of some of the top coarse grinders out there, both commercial, and domestic hand-driven! 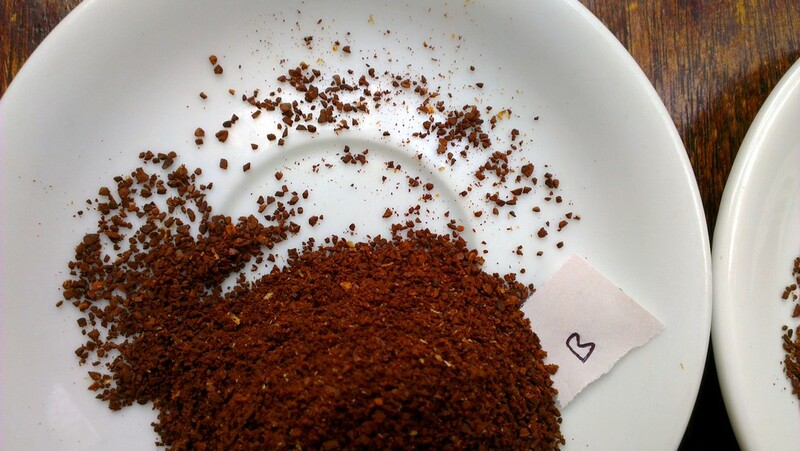 In the end, we almost coincidentally selected the exact same bean for our samples, and, we’ve followed pretty much the same protocol, to standardise our samples, which has worked out brilliantly, as this will now make for an even more direct comparison between the grinders. 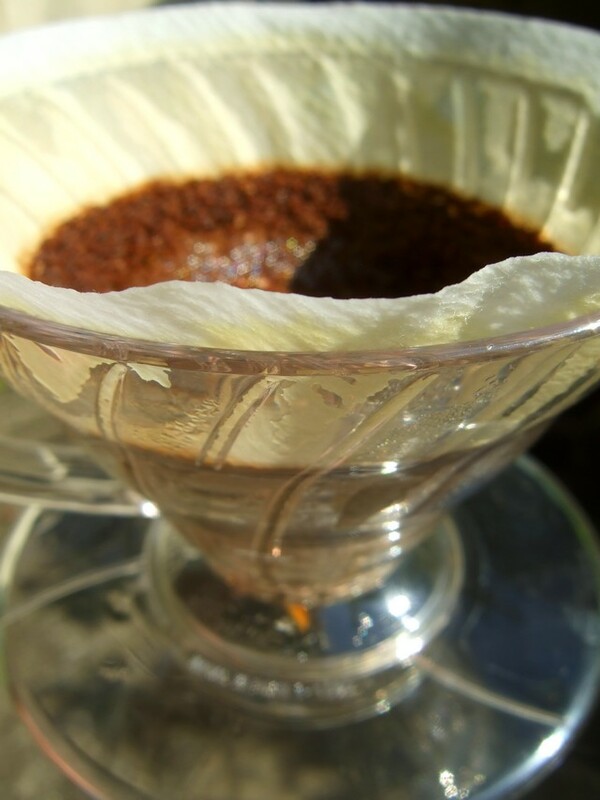 Suke Quto washed Guji light filter profile from JGC. 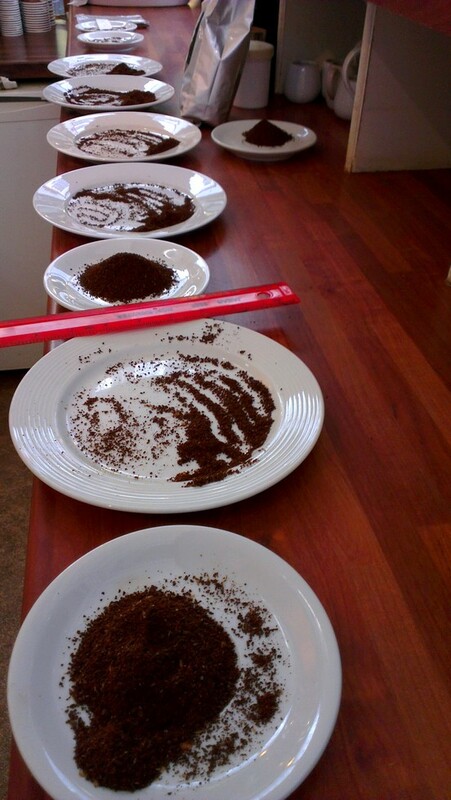 All samples 20g, in order to accurately replicate the grind profile/distribution produced by the grinders for an actual small batch size. 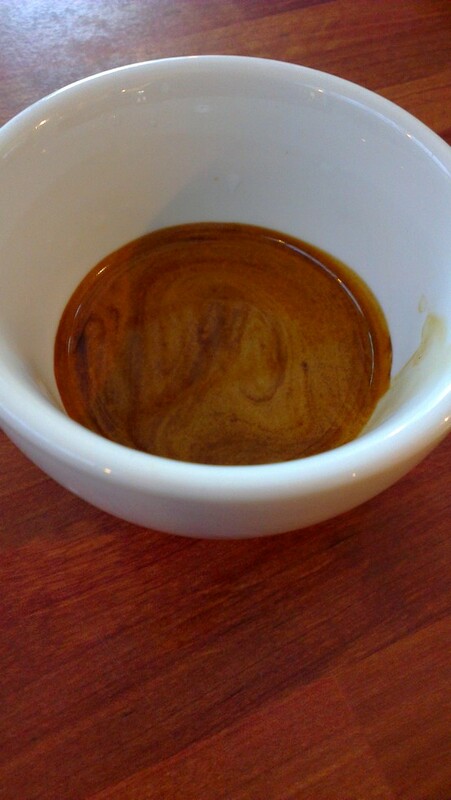 5g of Suke Quto purged through on each new setting before taking sample. Samples ground directly from Tanzania into the press-seal plastic sample bags. 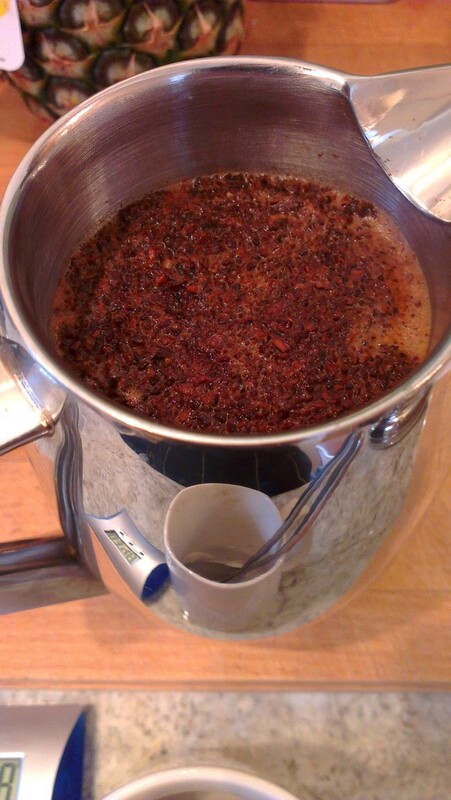 As per my standard practice, with Tanzania, beans loaded onto static burrs, weighted mod applied, then burrs switched on. 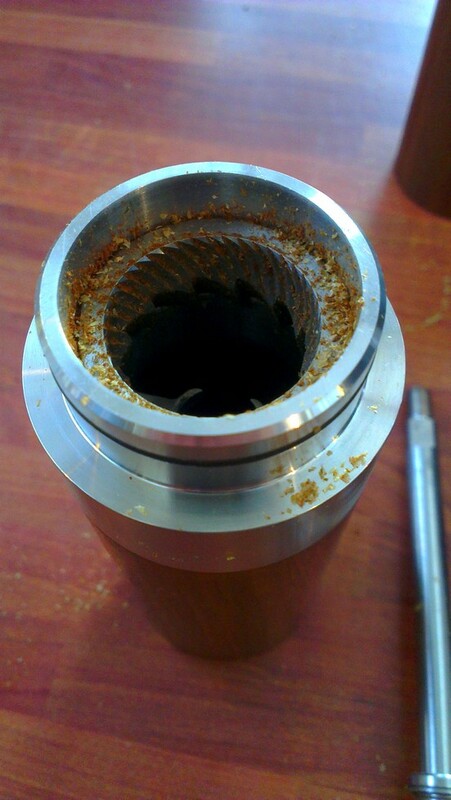 For Bunn, beans are dumped into already running burrs, again as per my standard practice for this grinder. 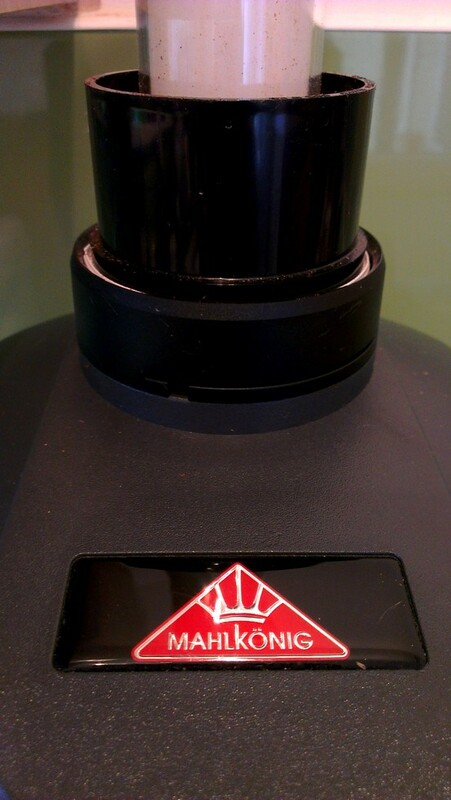 Matt mentioned he might even run analysis on a sample from his own Hario Skerton hand grinder as well (which is not really meant to be in the same league as the other grinders, but which is still a very nice little hand burr grinder), which would be great to compare alongside the others as well. 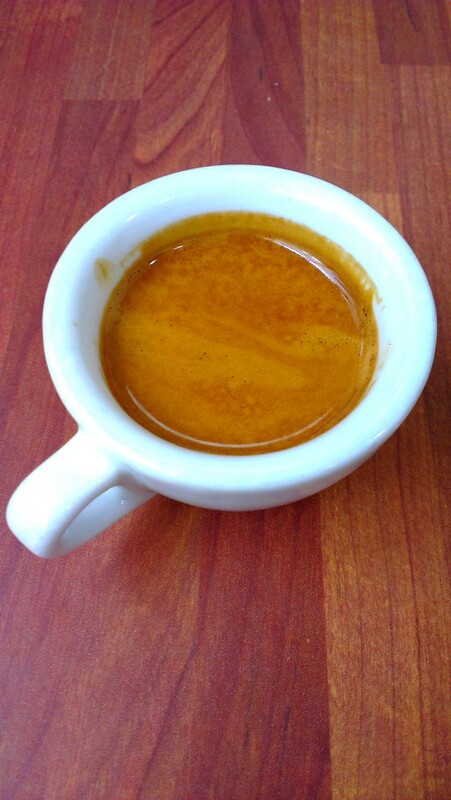 In other news, my recent espresso selection at the plan cafe has been: JGC’s Naturelle (composed of Santa Maria natural and Daterra Special Reserve organic Brazils, with Suke Quto washed Guji), and also Formula 6 (30% Fazenda Samambaia, Brazil 100% yellow bourbon, 30% Fazenda Sertaozinho, Brazil, 16% Guatemala Conception Pixicaya Lot #1, 16% Guatemalan Finca Cuxinales, Genuine Antigua, 8% El Salvador Finca Suiza Micro Lot). Filter profiles available for beans and French Press at the cafe have been JGC’s Finca Zarcero Costa Rica, Fazenda Samambaia, Tanzania Blackburn Estate Pick of Harvest SUN, and a personal favourite, Suke Quto washed Guji filter profile. 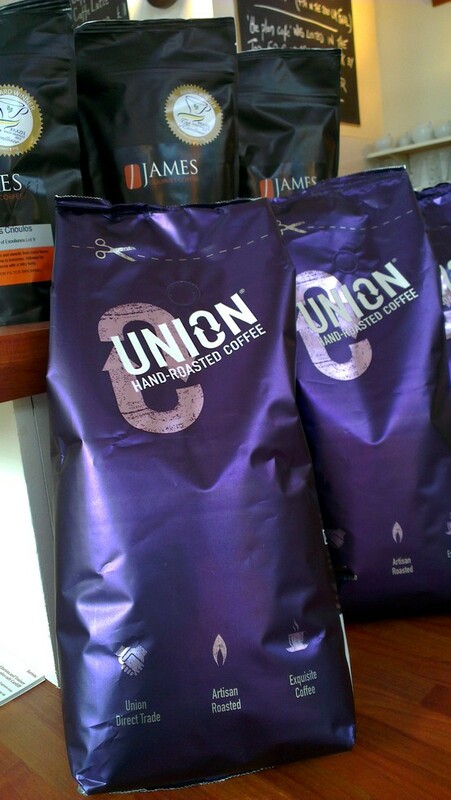 We’ve also seen two coffees from pioneering coffee agronomist Graciano Cruz’s Panama farms, Los Lajones and Emporium (Caturra), via Union Hand Roasted’s light roasts. 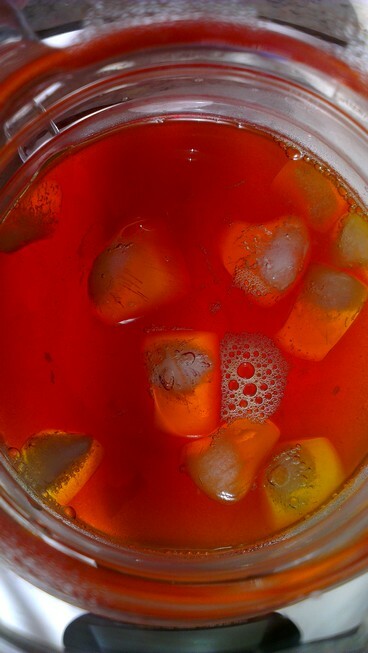 Both natural process, and exhibiting variations on lovely ripe fruit, like strawberry, blueberry, orange, pear, and wine, translating into various fruit sweets (like Starburst!). 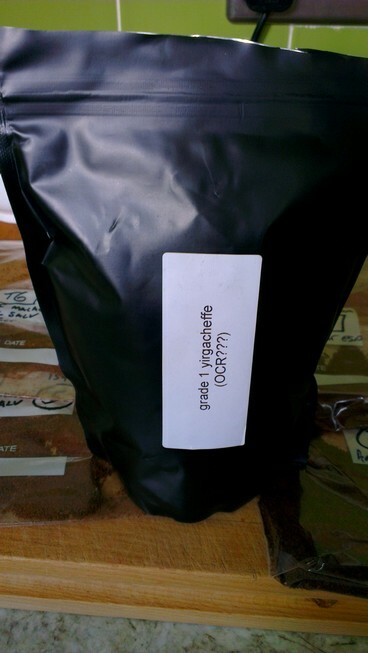 Very well processed, ‘clean naturals’, as you’d expect from Graciano’s designer coffees. 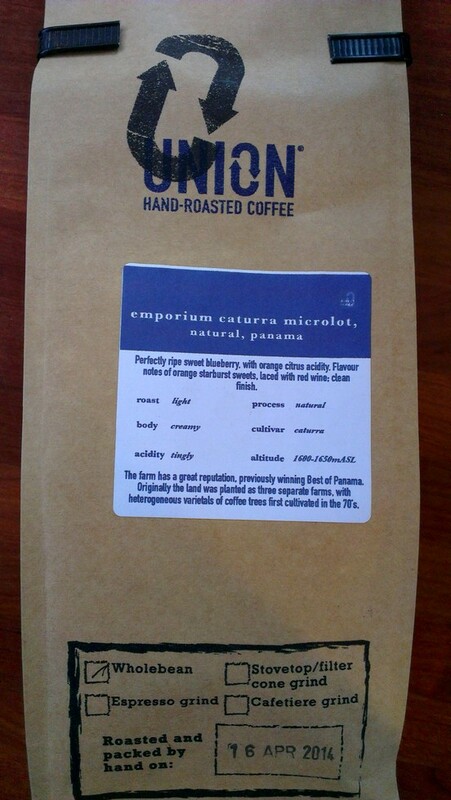 The Emporium Caturra microlot is currently available, right now. 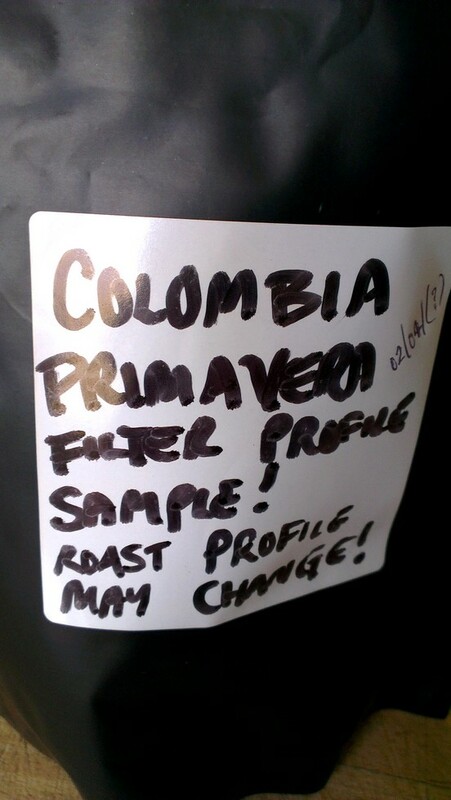 I’ve also been enjoying some filter profile samples of new Colombians at home, like Finca La Primavera, and look forward to seeing more of these soon! The recent view from above the espresso hopper; A sea of Brazil Daterra Special Reserve Organic, Santa Maria natural, and Suke Quto washed Guji. Recent seasonal changes saw this departure from the more usual washed-only nature of the components of the Naturelle blend. 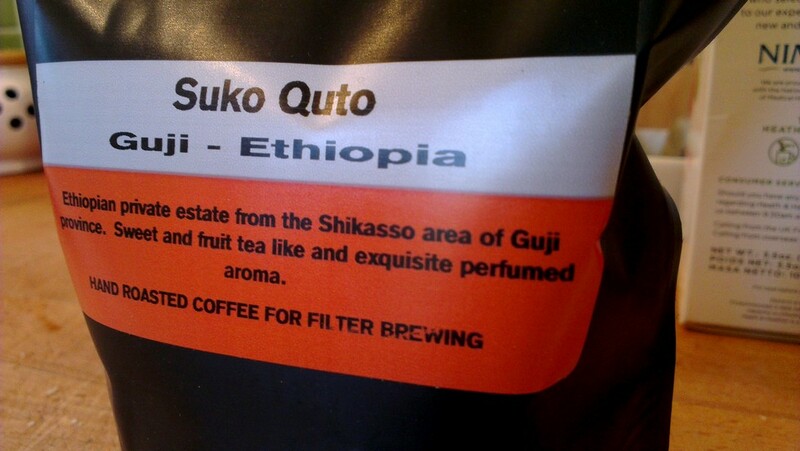 Suke Quto individually, at home, as a delicious, (even lighter) filter profile. 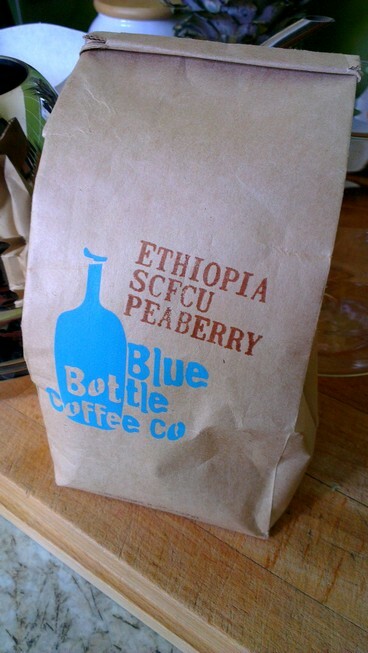 Probably my favourite filter at home since… the last Ethiopian coffee: Worka Woreda OCR washed Yirgacheffe. 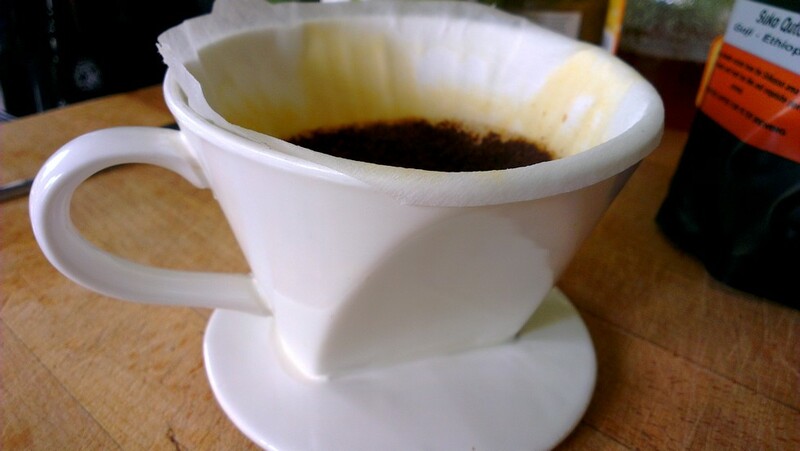 Suke Quto pourover filter brew. 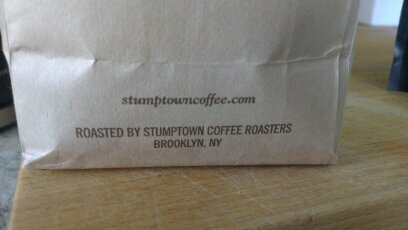 (Possibly) the most geeky/obsessive thing in my extensive coffee cupboard? 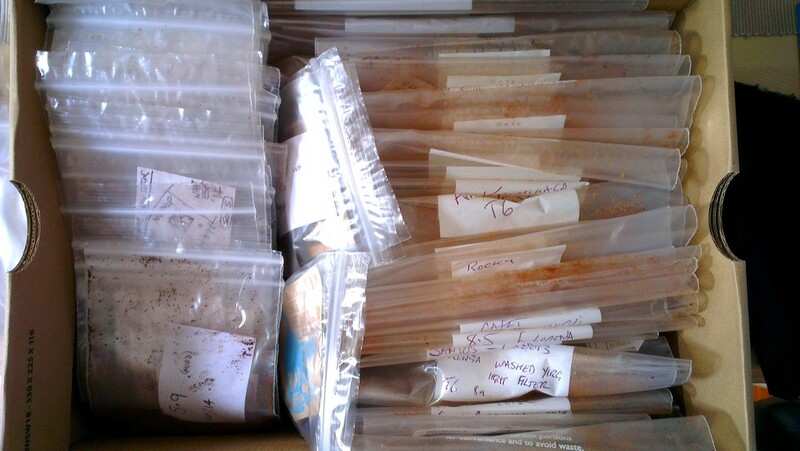 An ever-expanding box of grind samples. 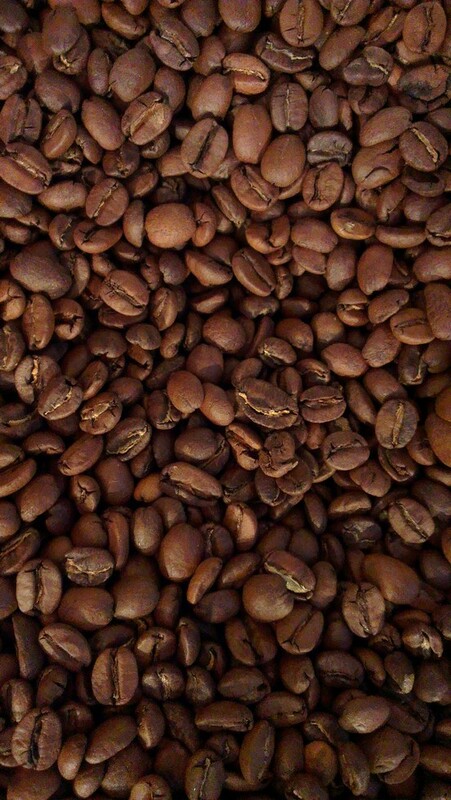 Samples of different coffees from different (craft) roasters through various grinders at various settings, to compare and assess grind profiles/distributions, shapes, and sizes, across different types of coffees, roast levels/styles, and brew methods. Press of a Brazil: Start. A couple of months ago I spent some time at the cafe with Dutch filmmakers, Johan and Norbert, as part of one of Johan’s film projects, My First Coffee.com. Knowing they would be visiting Wales for just a couple of days to do some filming, they had done some research, and had approached me about making the film whilst here. The little film they made of me is now completed and up on their site. 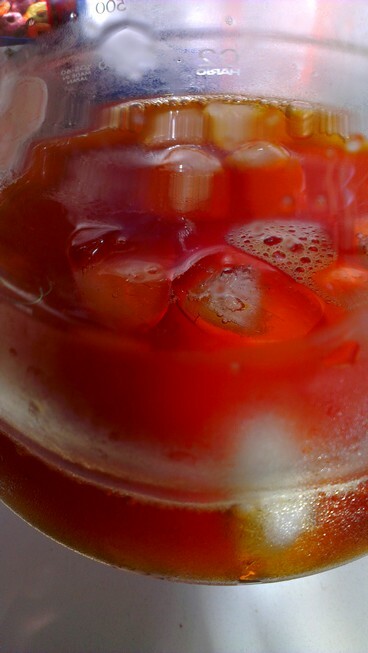 I love their films – they make for pretty addictive viewing for any coffeegeek! In other news, next week sees a couple of lovely coffees becoming available in the cafe for French Press: Rwanda BuF Cafe coop Red Bourbon (Nyarusiza station, Nyamagabe district, 1750-1900 MASL), and Operation Cherry Red grade 1 Worka Woreda washed Yirgacheffe (1650-2700 MASL)..! These are also available (on request) already as 250g beans if you want some lovely, fruity, floral, fresh coffee at home for Christmas filter! 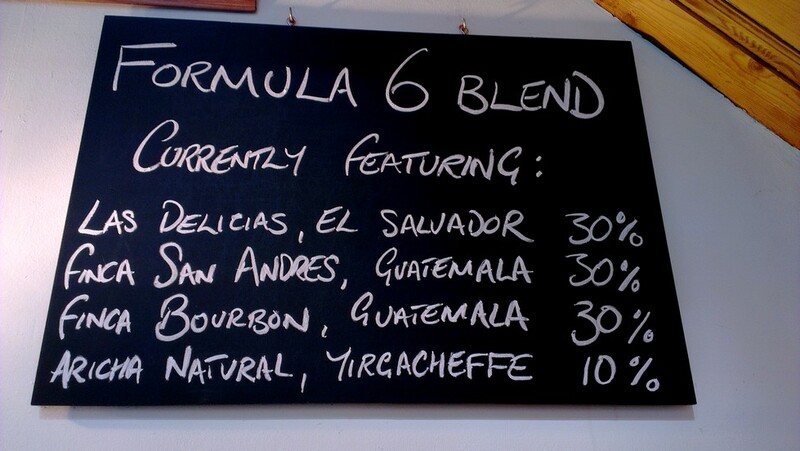 Our current selection for cafetière at the plan is a bit of a twist on the norm: an all Costa Rican selection. 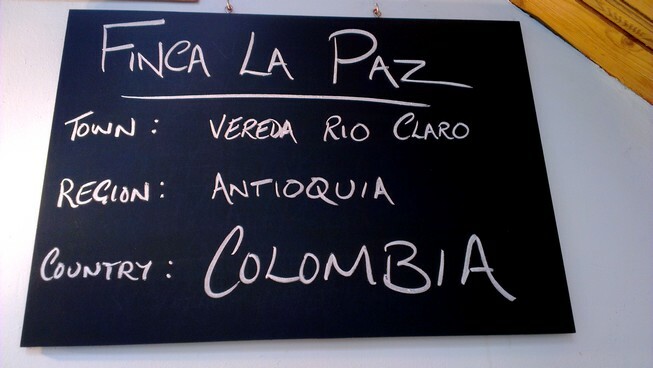 In fact, the 3 coffees on the blackboard for French Press right now are all grown by the same family (the Aguilera family) on their three farms, in the same region of Costa Rica (Naranjo), using the same arabica varietal (Villa Sarchi), the same processing, and (presumably) the same general cultivation and harvesting practices. So it’s a case of spot the difference, or even, rather, spot the similarities! Whereas we normally have 2-3 completely different origins on the board, often with wildly different flavours, these are all quite similar – just lovely, clean, juicy, balanced Costa Rican coffees. 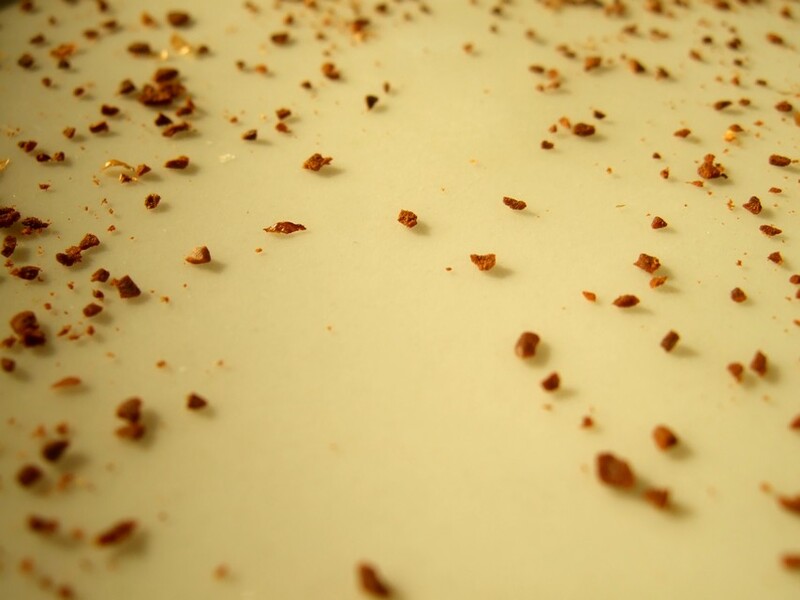 There are just slight leanings more towards the fruit, nut, or chocolate elements, depending on which farm you try – brought about in this instance solely by the individual micro-geography and soil of the particular farm. 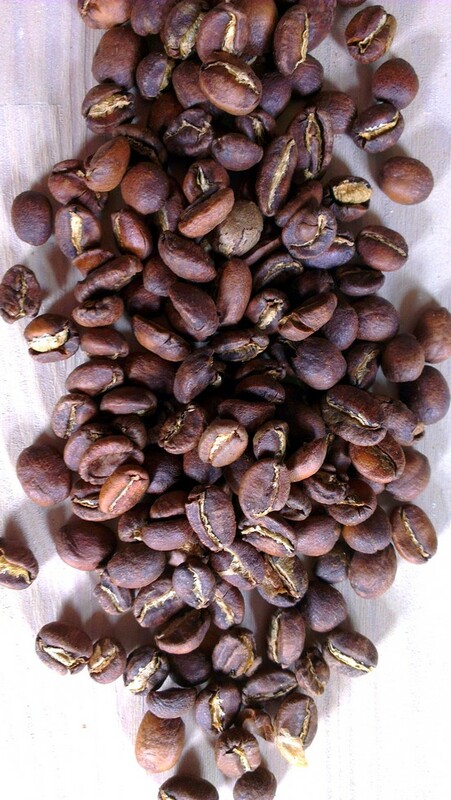 JGC have also deliberately kept the roasting as similar as possible across the three lots, to further allow the subtle differences, and similarities, to speak for themselves. 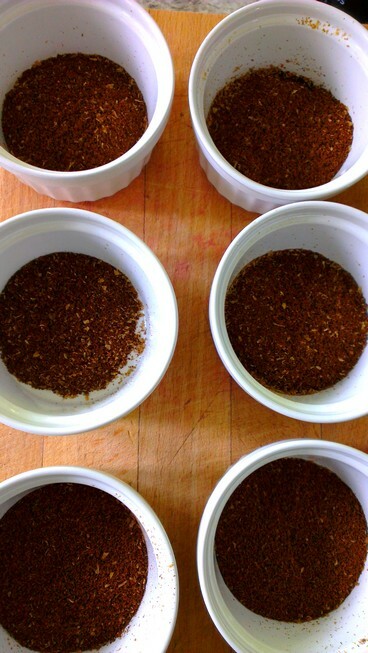 Aguilera family farms Naranjo Costa Rica filter selection (Fincas Beneficio, Angelina, and Tono). …Not including various coffees for espresso, which have included Samambaia, Sertao, Passeio topiazo, Aricha natural, Finca la Paz, Winter Hoards circa 2012 and 2013, and various (many!) new seasonal versions of the Naturelle and Formula 6 blends! 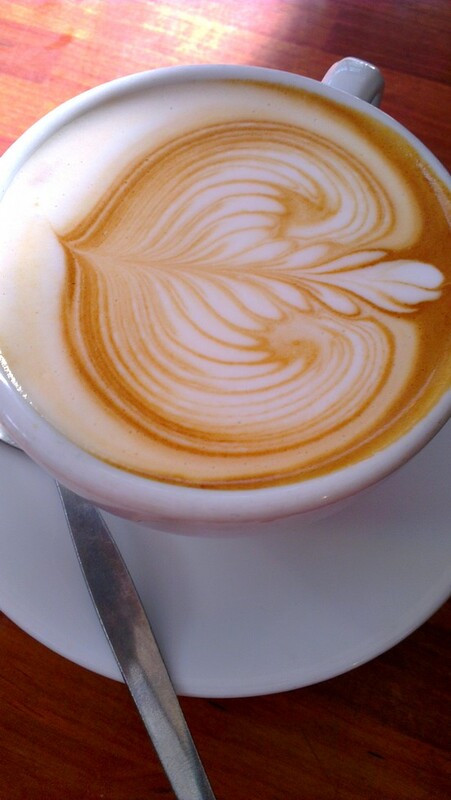 For me, being able to work with wonderful coffees like these still continually feels like a real privilege. And a responsibility – to represent them as best I can. I guess I have this deep respect and appreciation for these coffees (more so than others on our team), not only because speciality coffee is my obsession, and I know how good the coffees are when carefully and successfully prepared, but also because I know how much has gone into personally cultivating this situation. 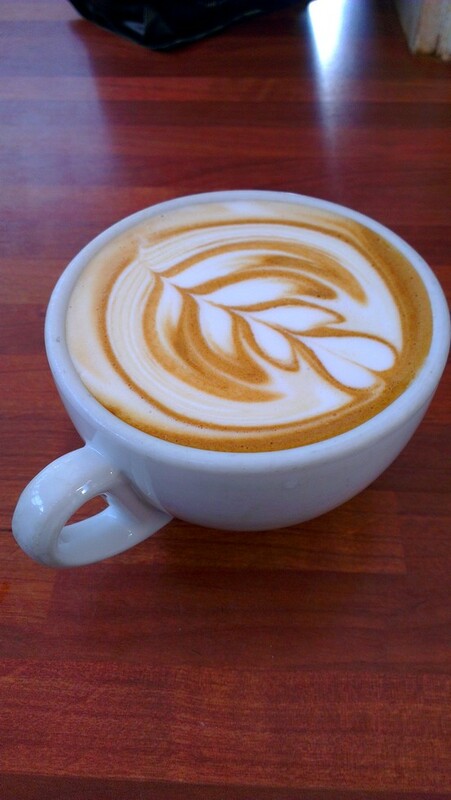 It’s not been easy to get to this position, where I can select, brew and serve coffees like these, in the environment that I/we have created and nurtured, with the systems I’ve put in place for the cafe as a whole, and with the quality equipment that I (now) have available (at work and also at home). It’s taken many years of patience and hard work to gradually advance to where things are now (in both these environments), and for it to be a success. And, additionally, this has been in a region where there are few others doing anything quite like this… But it can always be better too (and what we do is admittedly very humble, by some standards). 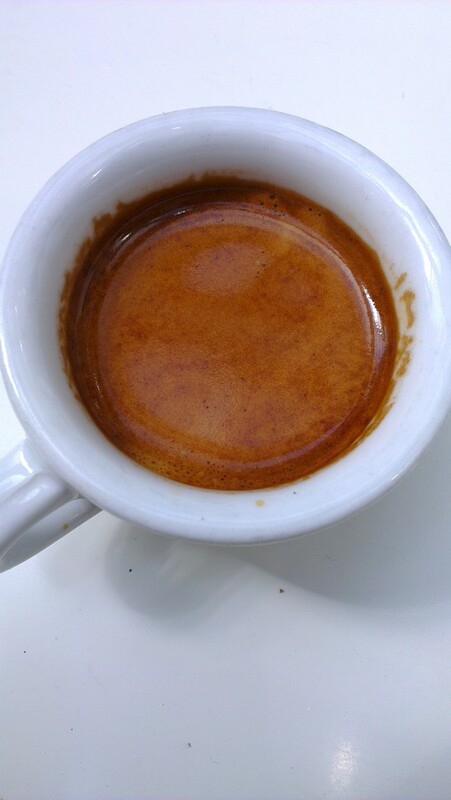 Therefore, attempting to always better understand and do more justice to these quality coffees, with (hopefully) increasing consistency and experience, is a continuous endeavour and focus, that is ever challenging, surprising, rewarding, and exciting in equal measures. Speaking of gradual improvements, I’ve spent the last 6 months or so making even more than usual. Some bigger, some only small – but lots and lots of little changes and alterations and additions to what we do (and not just with the coffee! ), in an effort to continually improve and fine tune what we already do, whilst not messing around with what works. 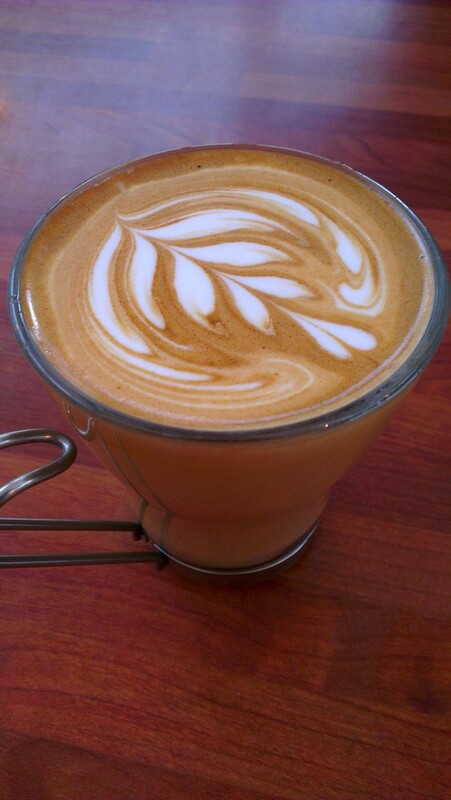 And whilst remaining inclusive and unpretentious about what we try to offer. I’m currently busy training the newest batch of staff members as well. 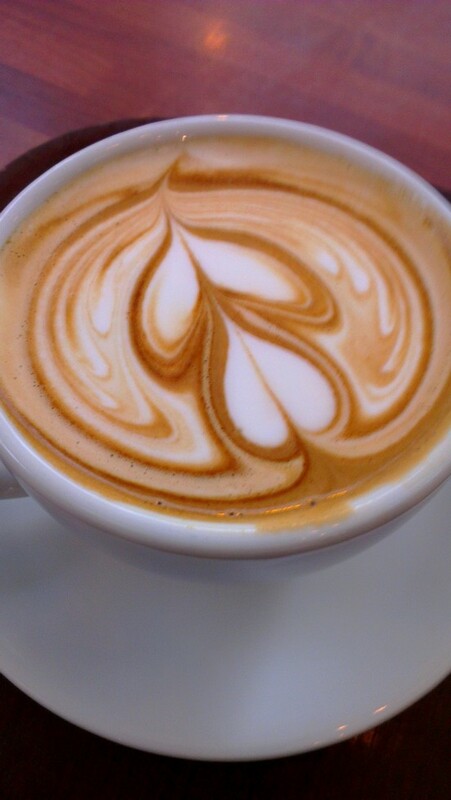 At some point I might progress them onto coffee, but they’re not there yet, even after several weeks – I train all the more straightforward, non-coffee, elements of service in the cafe first, and only once staff are proficient with this, might we potentially go further with espresso training if they seem suitable and ready. Some never do. I put a lot of time into training! But it’s necessary, to continue to do what we do. And we are altogether busier than ever before! And so now, we hunker down for the very busiest time of year..! 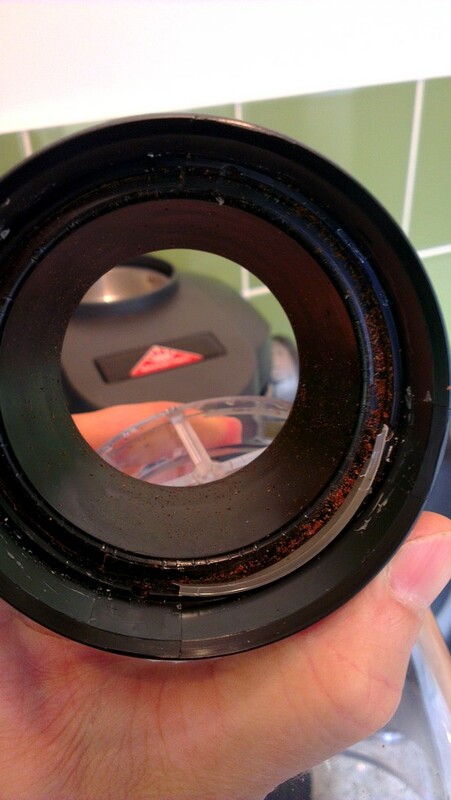 My long-standing, ongoing, preoccupation with coarse/filter grinding (amongst all other things coffee) receded just a little recently, if only briefly, and was diverted more towards water. 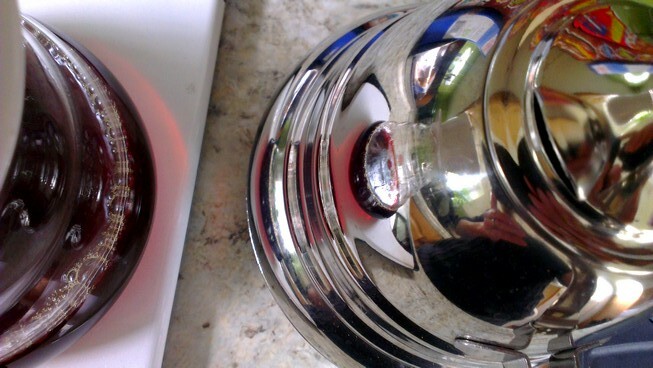 This brief shift away from grind was brought about by various factors (such as purchasing a Tanzania earlier this year for home, my ongoing experiments and reading, and recent experiences of brewing the same coffees in different locations; with Brita filtered Lincolnshire water and unfiltered local tap water at home in Wales, with the same brewing devices, and the same techniques and parameters). This lead me to some research, and experiments with bottled mineral waters (mixed to match the SCCA ideal TDS with a perfectly neutral PH, and also various degrees either side with unmixed brands), and also to purchase a Brita filter for home tap water for testing also. 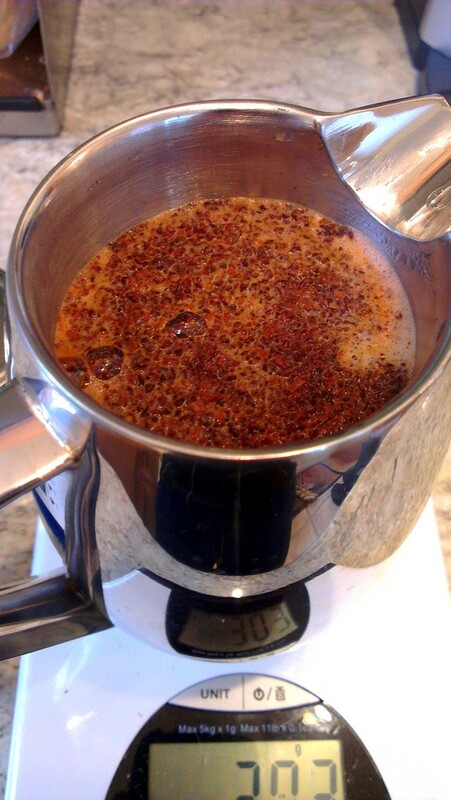 During this, I’ve been trying to keep brewing/pouring techniques and parameters, grind and batch sizes, fairly consistent, or even identical, as well as sticking to only a few brewing devices (I own a lot), to try to isolate the changes brought about by the water (and much of the same applies to continued experiments with grind as well – see below). This is something I’m simply keeping an eye on. Anyway, after that diversion, I’m definitely back onto aspects of grind. 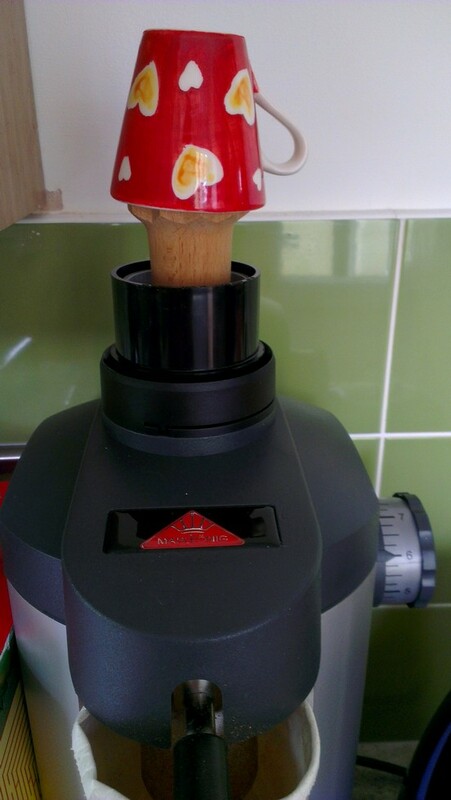 I am currently DIY modifying my Tanzania grinder (at home) to optimise its performance for its general use as a single dosing grinder, with a view to eliminating popcorning (and the potentially negative effects on grind consistency and uniformity of this phenomenon). 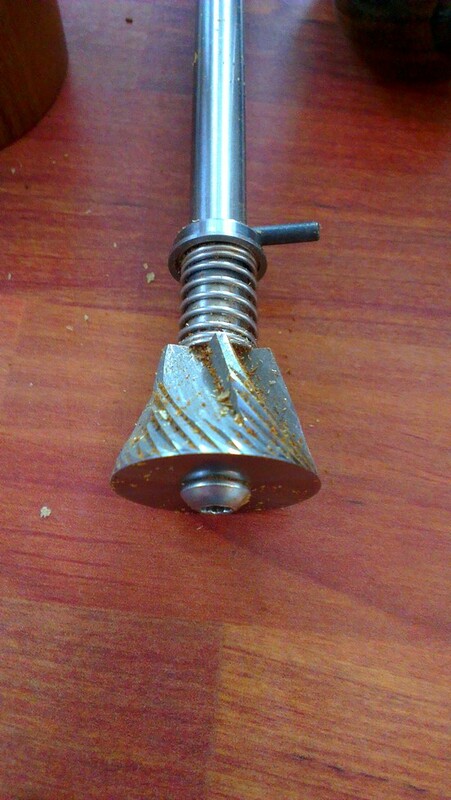 It seems I am not able to own a grinder without modifying it some way (early on, I modified our Anfim Super Caimano 2nd revision espresso grinder at work with a piece of metal that I knocked-up, which now gives us roughly twice as many grind steps as usual – effectively making the grinder as close to stepless as possible …without actually making it stepless, that is). For those wishing to look at some information regarding this subject, here are some links. This particular link line-up seems to be a bit of an HB fest, sorry, but sometimes that’s just how it is – when the topics just aren’t to be found being explored, or at least aired, elsewhere… Admittedly, many of these links refer to grinding for espresso, with espresso grinders, rather than coarser, filter grinding and grinders – but the ideas involved are still relevant. 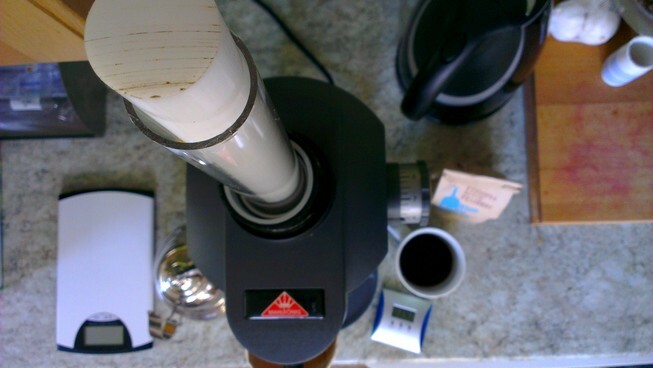 If anything this topic might be especially pertinent when it comes to filter grinding. 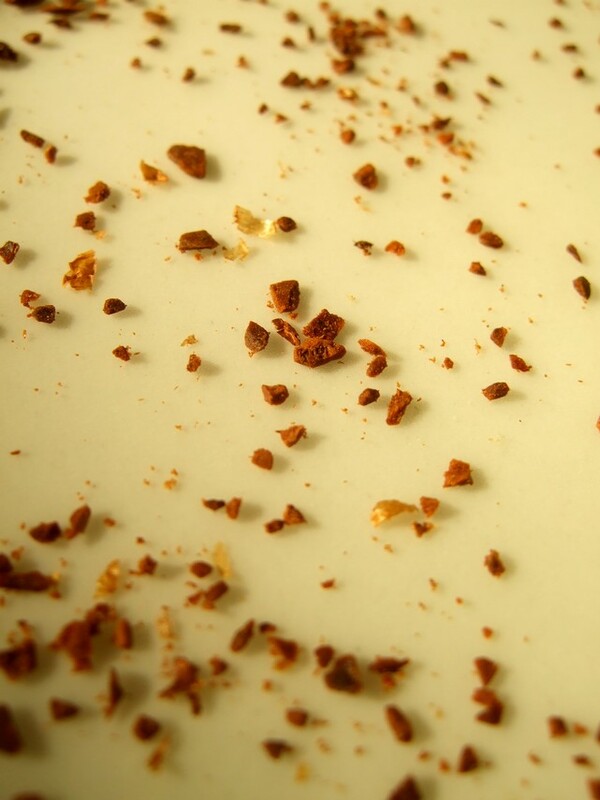 Whilst consistency from grind to grind is of course absolutely crucial for espresso, and shot consistency, it’s generally accepted that ‘ideal’ espresso grind actually requires a wider, Bi or multimodal, less uniform profile, built-in, as a necessary and desirable quality (this is the grind profile produced by professional espresso grinders, and the brew method has therefore developed around this grind to the extent it is considered necessary for correct execution of the process. 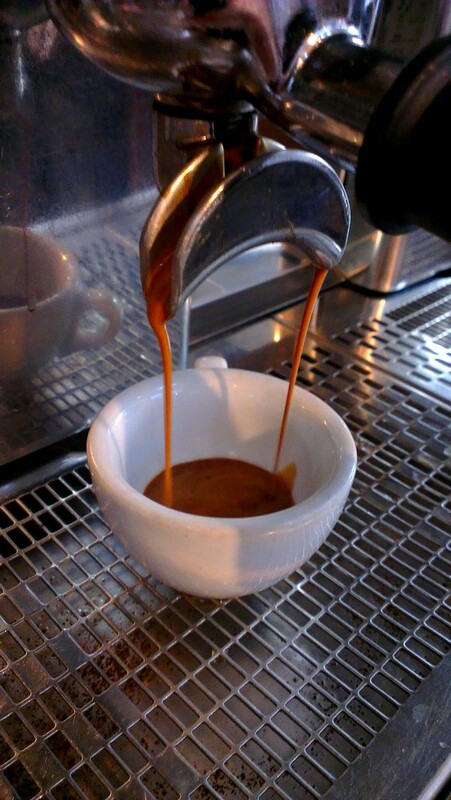 There are some interesting discussions and experiments going on at the moment exploring uniform grinding for espresso – but this is a rather separate, fringe debate, and not normal practice). 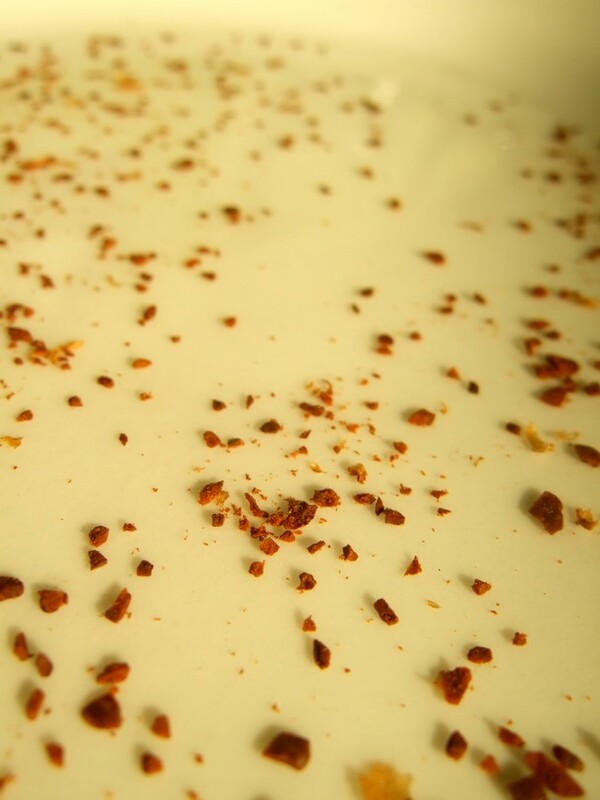 Popcorning could therefore potentially even deliver something positive to this requirement, provided the damaging effects are simultaneously managed somehow, and grind settings are also adjusted accordingly to compensate. 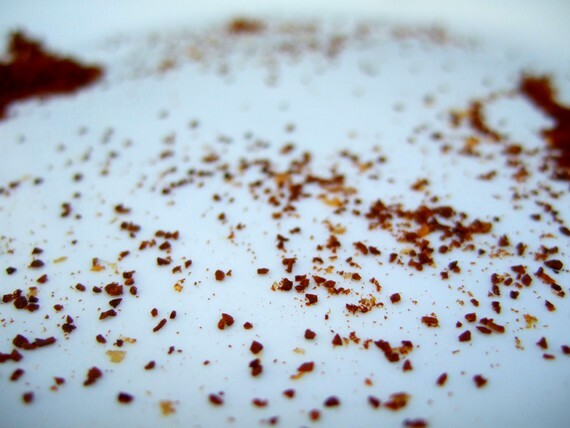 Whereas for coarse grind brew methods, and grinders, a grind profile that is as uniform as possible is generally considered optimum (again, a popular consensus, not necessarily gospel). 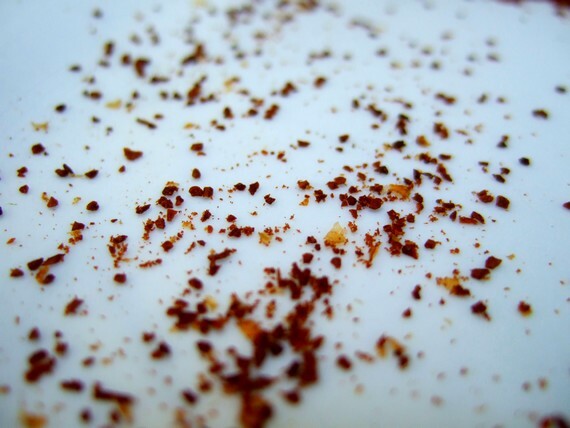 So, it might be that the effects of popcorning, complicated and perhaps exacerbated by the scenario of single dosing various different weights, at significantly different grind levels (from medium fine through to very coarse), in terms of potentially widening (or altering) particle size distribution, is even more detrimental for coarse brew methods (and for the best grinders purpose-designed for these brew methods and grind levels), than it is for espresso. Just my own conjecture. 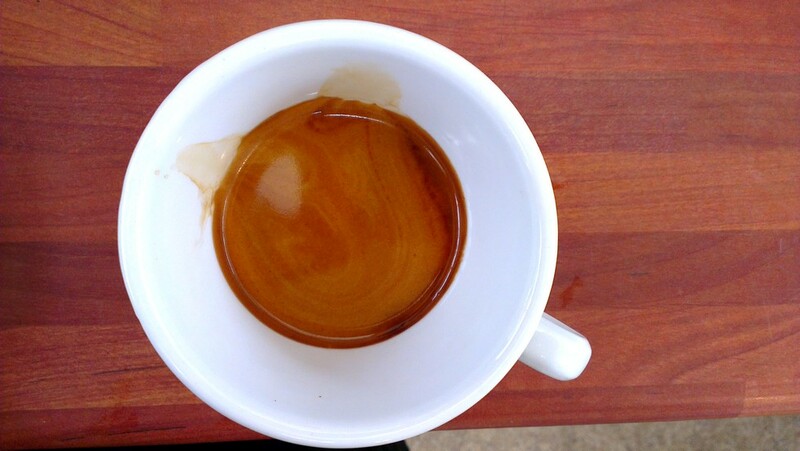 During these modifications, it has been interesting to note that the flow of grounds from a (coarse, filter) grinder is in some ways (loosely) reminiscent of the flow of espresso during a shot, in that it is not simply the same from beginning to end; different sections of the event have a different make-up (the latter is well documented, whereas the former is not). 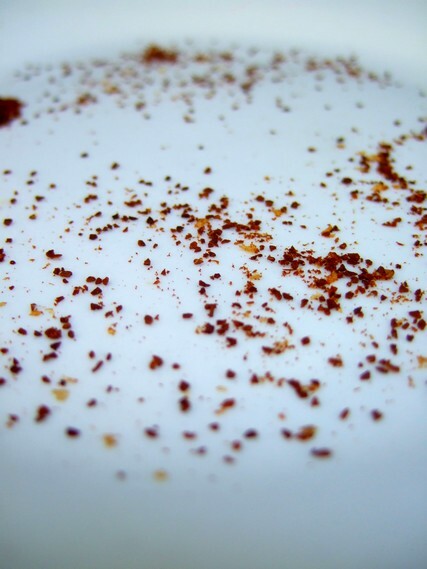 The uniformity and distribution of particles in a single dosed sample of filter grind is a little different at the start, through the middle, and at the end (from unconfirmed casual observation, mostly). 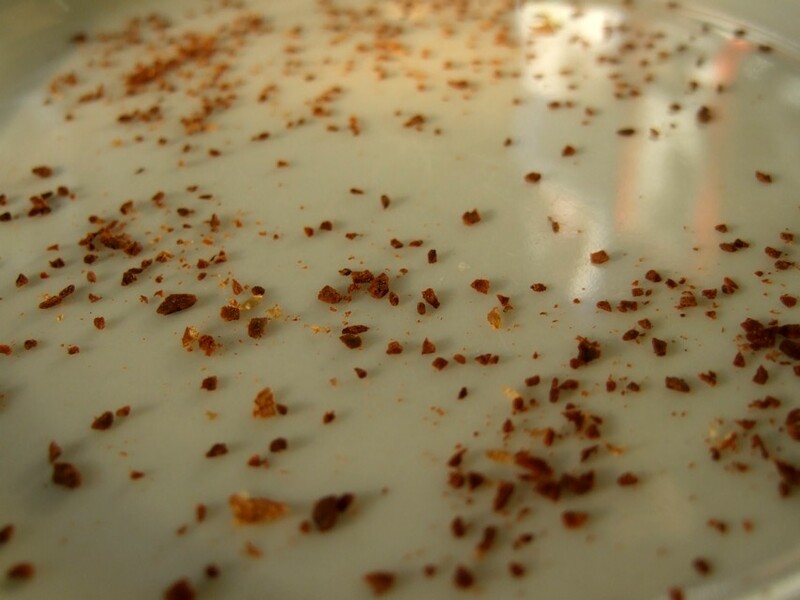 And this changes with any and every change you make to the way in which you feed beans into the burrs when grinding. Trying to eliminate this variance throughout the portion/dose (which naturally affects the end profile), and homogenise the output as much as possible, is my current quest. This comes at a fortuitous time, as I’m also currently in the process of sourcing a new filter and press grinder for work for the plan cafe, and am researching the options …bearing much of the above in mind. So, as I said, back onto grind – for my sins! 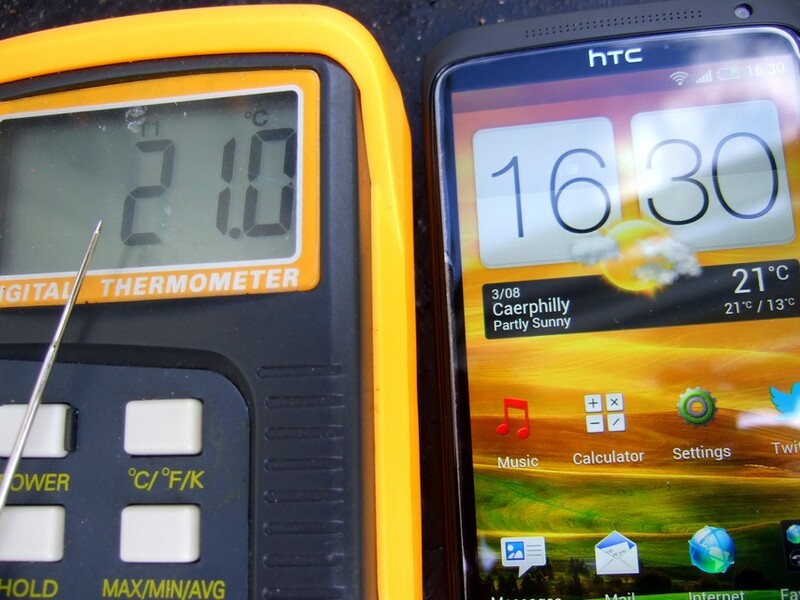 Had a sudden thought one weekend recently, and it turned out that my phone and my thermometer agreed sublimely on the current ambient temperature in my garden. I liked this! No proof that either source was actually reliable, but it made me smile, and gave me some reassurance that the measurement of temps in my Paico might be correct enough, before the perpetual nagging feeling that I might need to recalibrate the thermometer, had chance to take hold before brewing..! 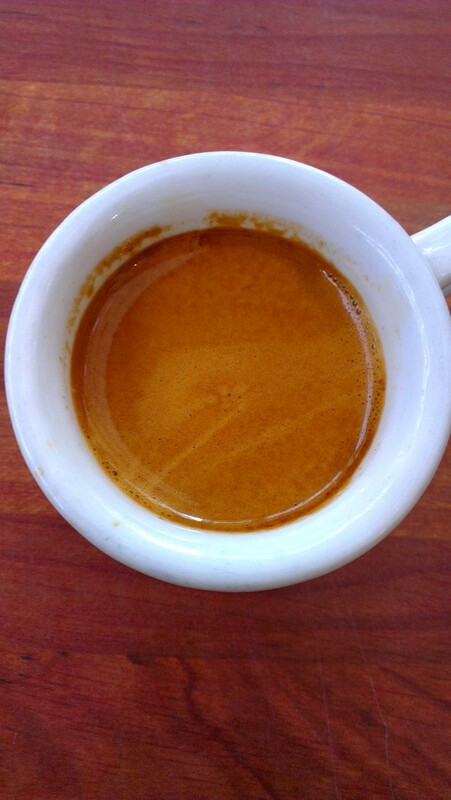 At work, my occasional photography these days has shifted a little away from latte art, more towards simple observation of espresso crema, which feels like a logical progression, after all. 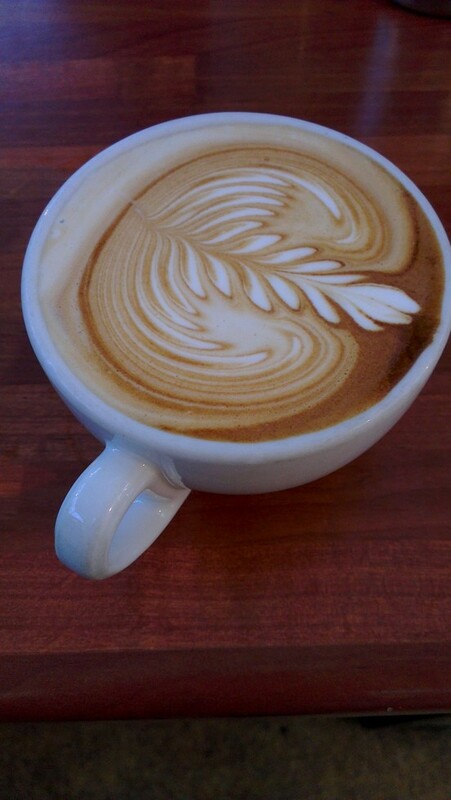 Latte art is the more obvious show stopper, that screams *Look at me, aren’t I stunning?! 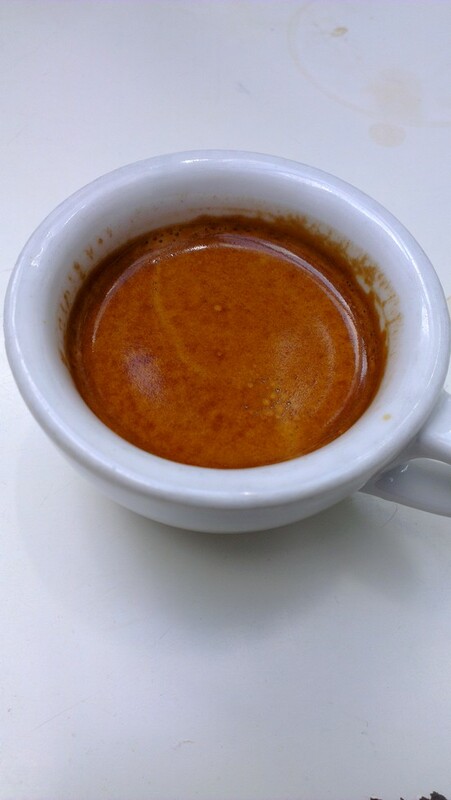 * (and yeah, sure, it is), whereas espresso crema, is equally, if not more beautiful, complex, and mesmerising – but in a much more subtle way, on a smaller, more micro scale, that is easy to overlook (although these assertions are undoubtedly the obsessive barista in me talking!). And in fact, it’s (much) harder to control and master – to sustain and predict, with repeatability. And much more important. 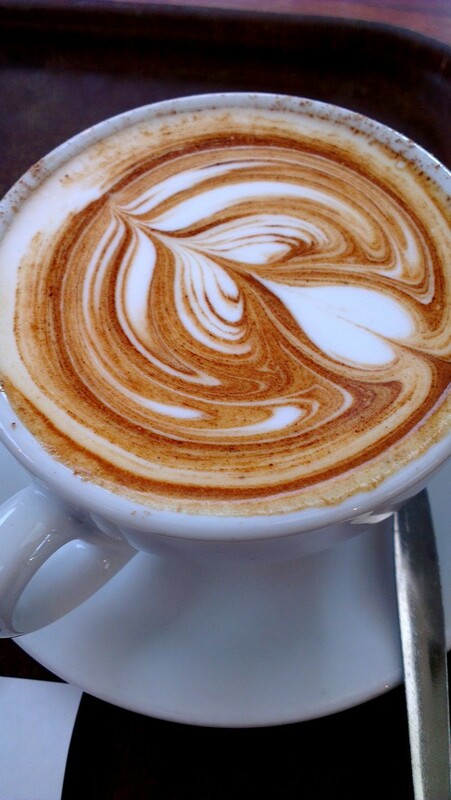 Even pretty great latte art eventually seems like child’s play in relation to the many other aspects of coffee, including crema. 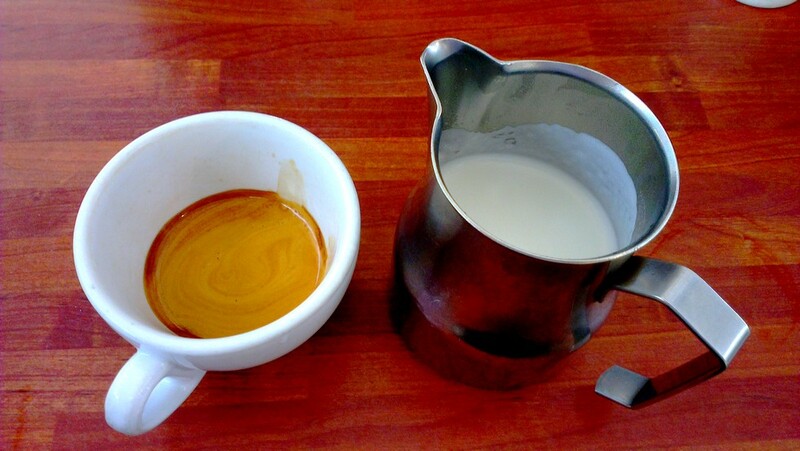 Naturally, I’ve been aware of, and enchanted by, crema for a long time. 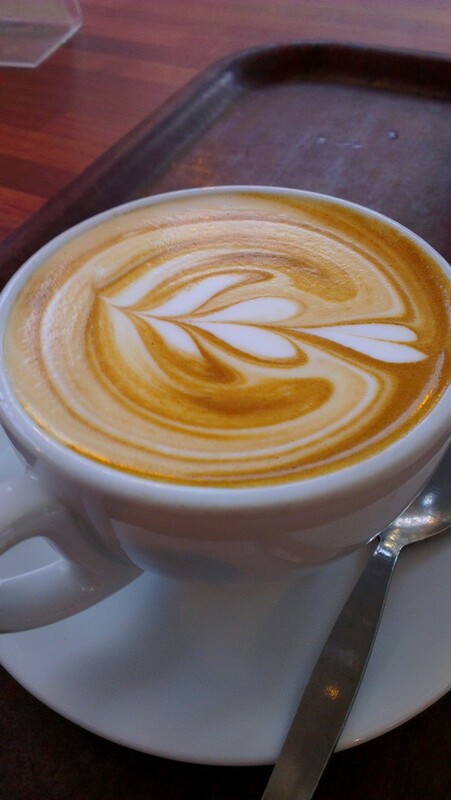 Aesthetically, it is beautiful, and objectively it is also charged with useful indicators, and as a barista, that makes witnessing its subtleties all the more alluring. 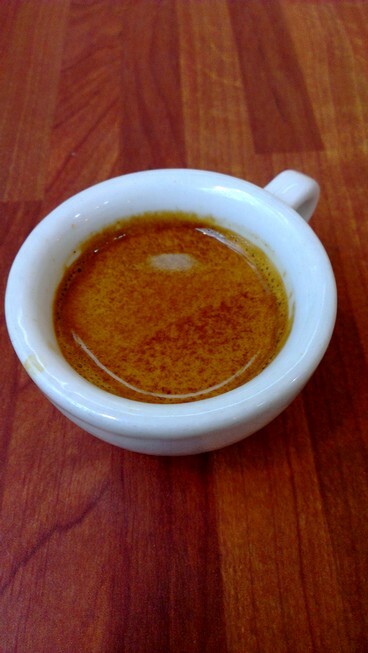 But it is perhaps more recently, over the last couple of years, that I have become more in-tune with and watchful of these visual indicators, and have developed a more heightened awareness of the many indications and messages that crema can hold. Visual assessment of crema alone, is valuable, informative, and captivating, for me, and as something I spend a lot of time regarding, both from aesthetic and objective points of view, it’s nice to take the odd picture here and there too (although, as I also take quite a lot of pictures of spent manual filter coffee beds at home, for instance, I might not be the best representative for what is ‘interesting’ subject matter…). No fancy camera or lenses. Just some simple snaps to try to capture it. And in most cases, only the finished surface as well. Crema is a whole subject area in itself, of course, and you can delve pretty deep into the science, if you wish (I recently read one of Illy and Navarini’s famous articles “Neglected Food Bubbles: The Espresso Coffee Foam” which is one example), and there are many, many aspects of it which you can explore. 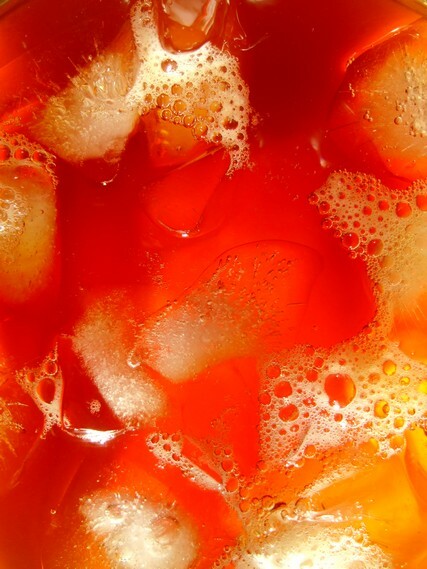 But what I’m referring to here is simply observation of the colour, patterning, and textures, from both an aesthetic point of view, and from the point of view of correlating these visual indicators to taste-promise, using a mental landscape or catalogue compiled over countless observations and tastings. 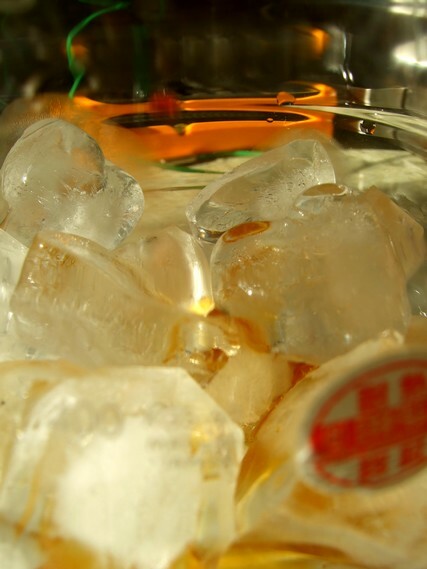 Of course, visual indicators are just that – only indicators, and not a total guarantee of success. And, the visual differences between an ok, but significantly flawed shot, and a lovely one, can be very subtle, even indistinguishable (and the variables that can lead to these variations are of course even more subtle). But nevertheless, there are often occasions when you just know; when these appearances within the crema surface make me virtually certain that there’s a success in the cup, due to this recognition of signs, from the catalogue of experiences (although admittedly, this intuition and assurance is also guided by other aspects during the whole shot making process as well, such as how the dosing looks and feels, what the flow rate and characteristics are like, what the aromas during and after brewing are like, etc, with the appearance of the finished surface being just one key indicator). 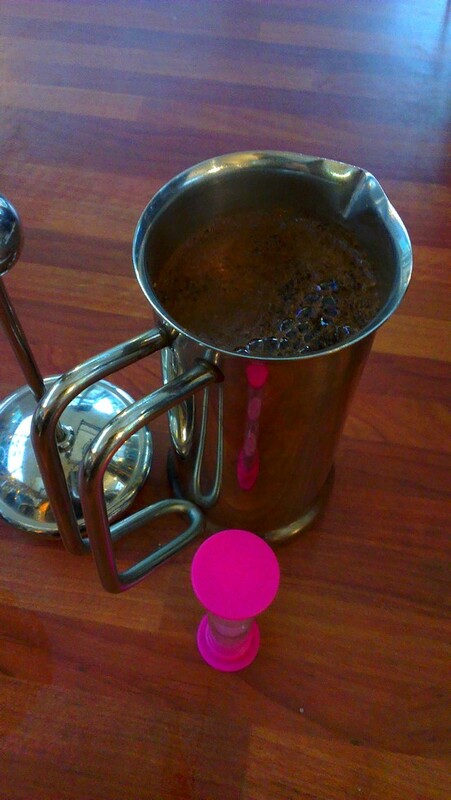 As with all things coffee though, the whole thing is very equipment, and coffee, dependant (not to mention technique! ), and the attractive visual appearances that indicate potentially successful shots on one set-up might be different to another. 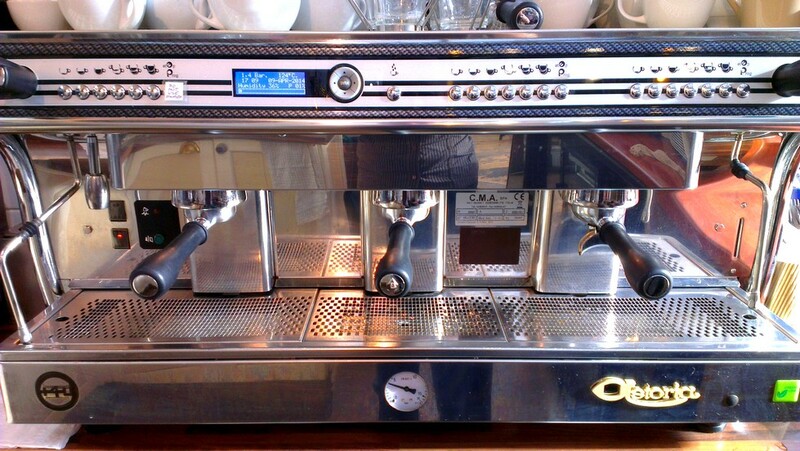 Different machines, grinders, baskets (volume, shape, diameter, hole type, etc), doses, brew ratios, roast levels, bean types, techniques, naked or spouted handles, cup types, etc, etc, will all affect the results, and different combinations will produce different shots, and perhaps different indicators. Super tight, heavy updose, dense shots tend to work less well on our set up, taste-wise, for me (and rarely represent coffees well), and so this is not how I brew, generally, and therefore these visual indicators at our parameters will be somewhat unique, and slightly distinct from those brewing with different parameters and equipment (although saying this, there are, I think, certain common, recognisable elements which are fairly reliably and universally indicative of either warning signs, or positive information, about shots). Some people will also have specific preferences, some will have higher, or lower, expectations, and some a deeper, more evolved awareness. 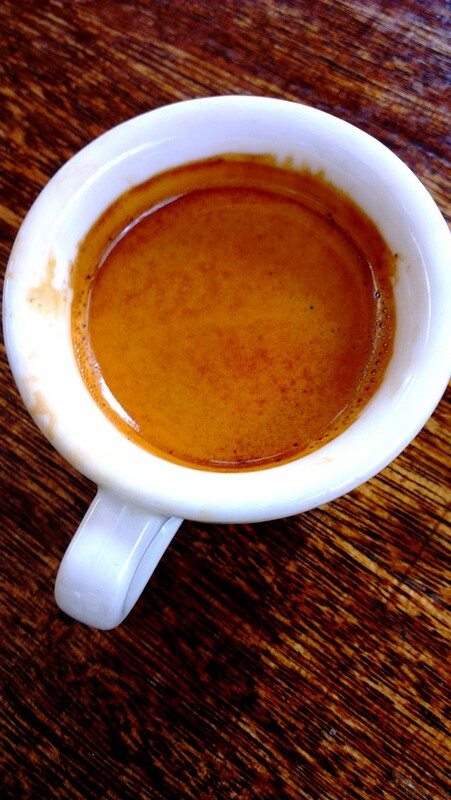 But gradually developing an affinity with what constitutes the appearance of likely successful, or at least acceptable, ballpark, crema produced by one’s own set-up, however modest or lavish the equipment or the results may be, within each set of given limitations, is valuable. 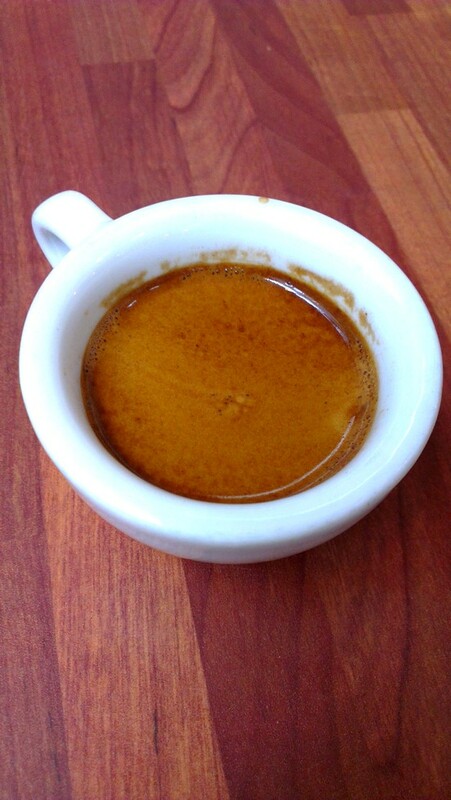 And speaking of crema, (nearly) every day, I continue to record basic espresso brewing notes/parameters/observations, which run into the many 1000s of words per month (not including similar notes at home regarding filter brewing subjects, as mentioned above, and others). 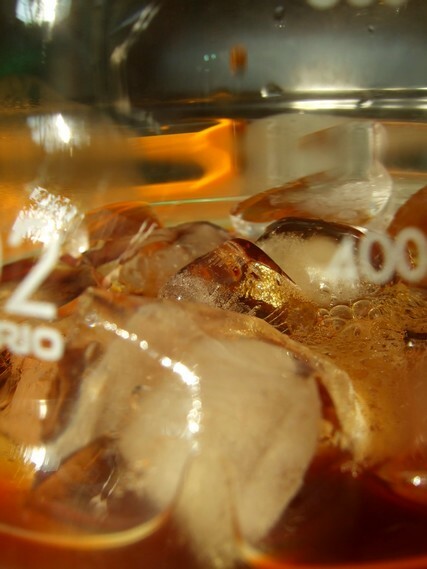 I feel such notes are so highly equipment, site, and coffee specific, as to not be of any practical use to others, which is why I never see any value in publishing them. Perhaps this same reasoning is why there is, understandably, really so little concrete, in-depth, practical brewing information around on the web, other than the usual, rather vague, generic, often repeated overviews (although there are those going to the effort to make some available, and meaningful, to whom we should all be grateful). 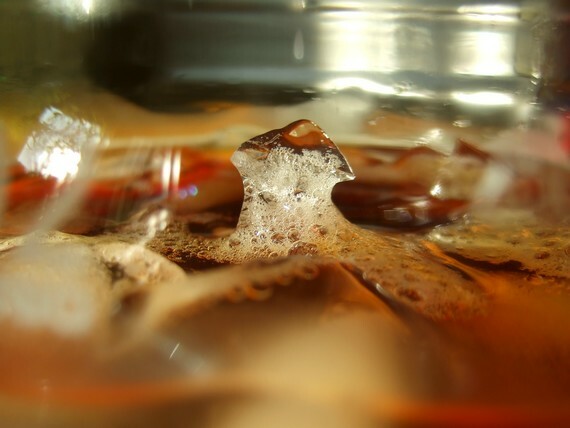 The variances between everyone’s equipment, grinders, parameters, techniques, and water, etc, is so vast. 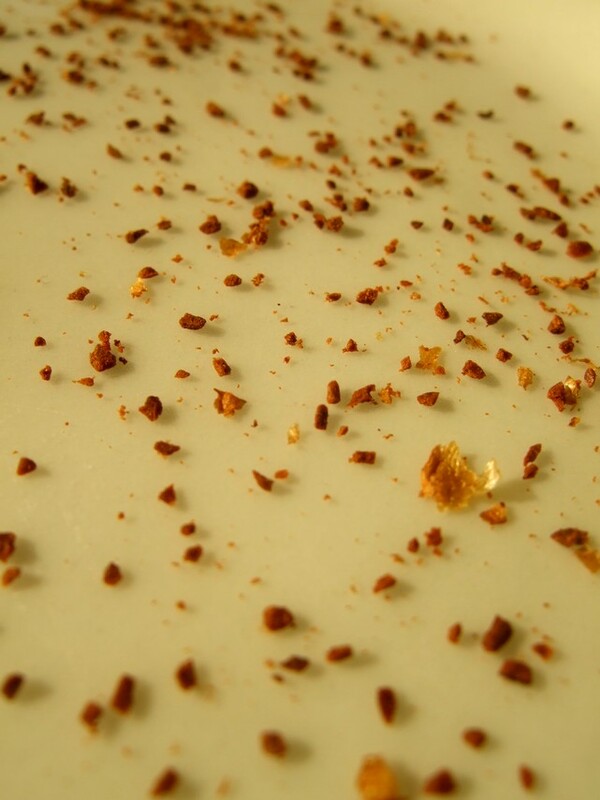 It’s easy to say “such and such recipe was amazing!“, but how useful is that information to others, practically? Not that it can’t be useful, but to make it meaningful takes some time. And, the process is highly prohibitively time-consuming for me as it is (even just to log data and observations, of dialling and continued brew settings and parameters throughout each day, in a rushed sort of shorthand that only really makes sense to me), without then also trying to round these up into any sort of interpretable, digestible form that would actually be suitable or useful for others. 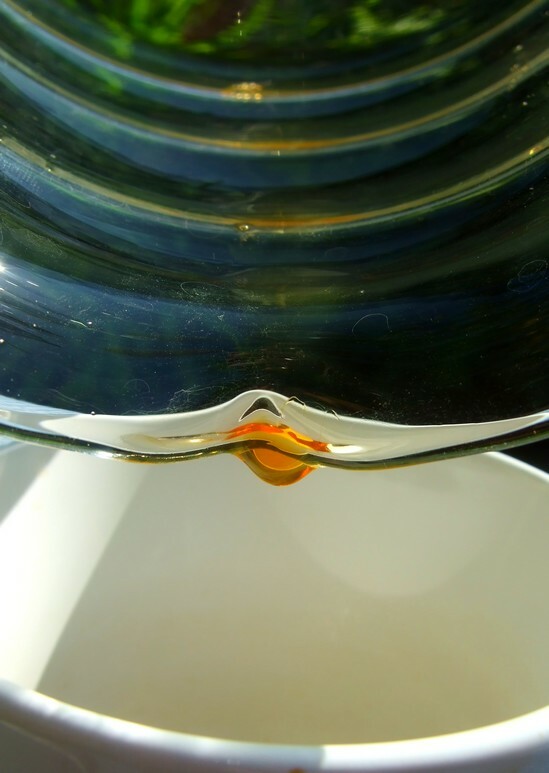 And so, I mention these notes occasionally, only because I personally find the process useful and valuable – and would recommend it as a learning tool to anyone, within their own practice. Simply mentioning the subjects I’m looking at as I go along, alluding to the issues related, and providing links to some of the further research that I’ve been looking at myself, sometimes feels like the most helpful approach. 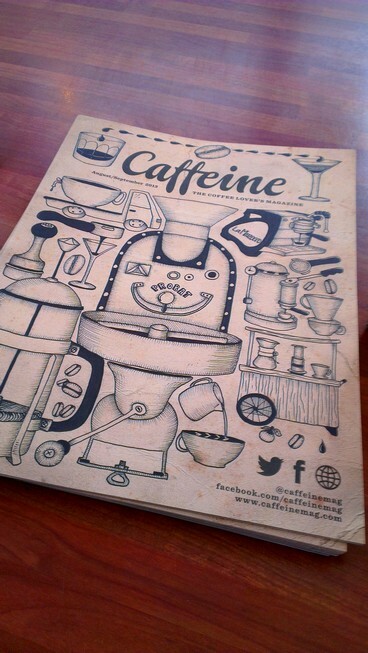 The new August/September issue of Caffeine Magazine will be in the plan soon. 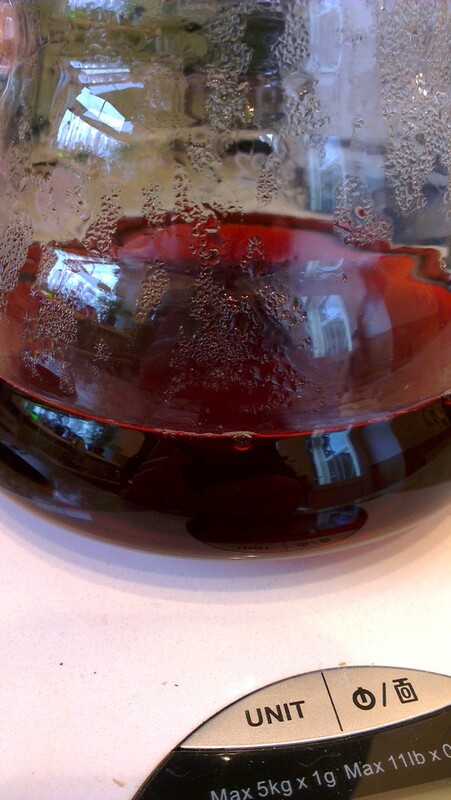 …The 10% Aricha natural Pops beautifully and distinctively in there, with ripe, wild, winey, rosie, summer fruit notes. 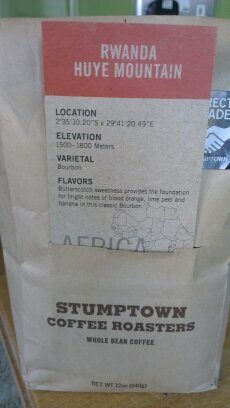 So, our newest Guest Roaster for espresso is rested, tested, and will be on from tomorrow! 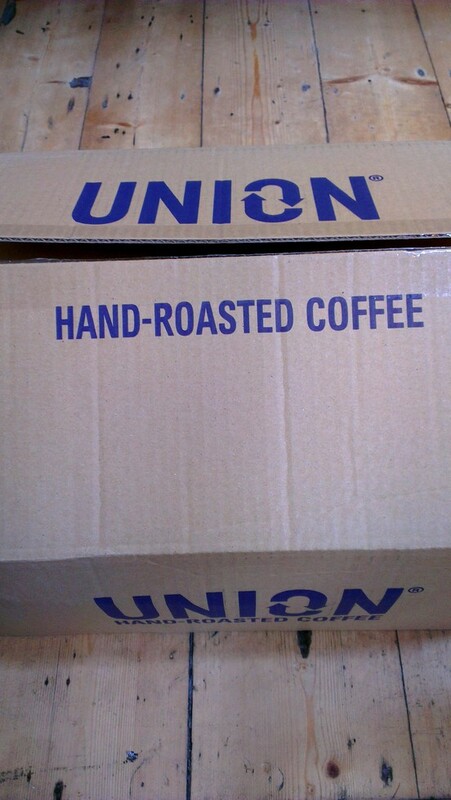 This is Union Hand Roasted (a London-based artisan roaster). 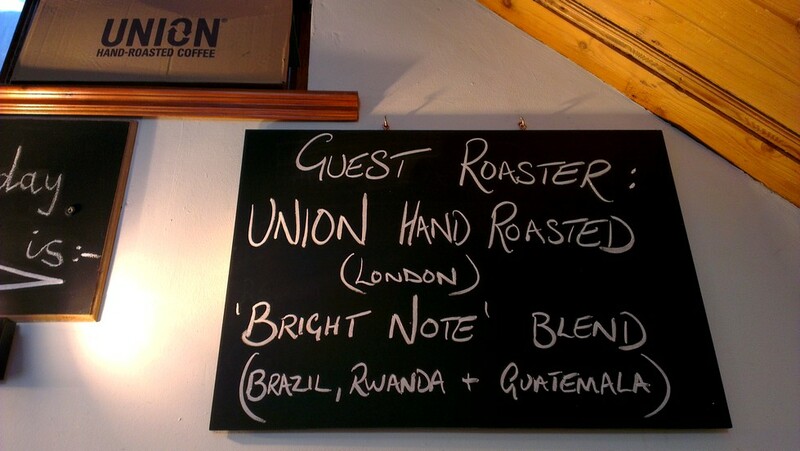 Whilst they’ve certainly been on my radar as one of the roasters to try for a long time, this is our first time with their coffees. 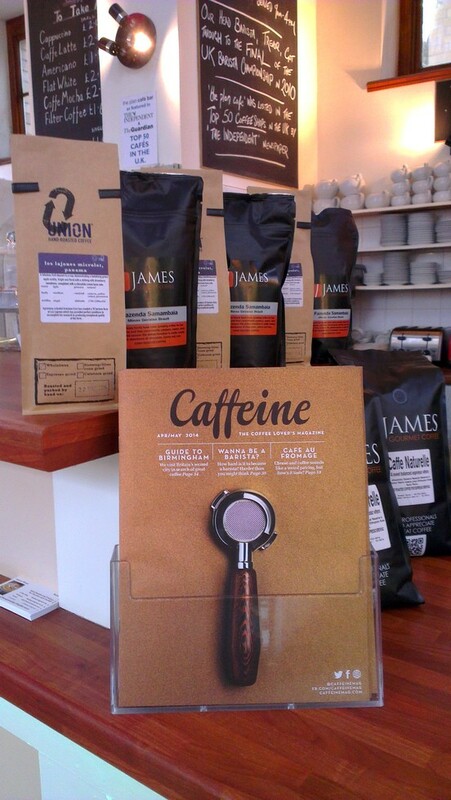 We have two different in-season blends from them that will be on as our espresso over the next two weeks, with some James’ Gourmet here and there and at weekends in between as well. I have (predictably!) gone for the less deep end of their available variety of roast spectrum (which is going to be deep enough! 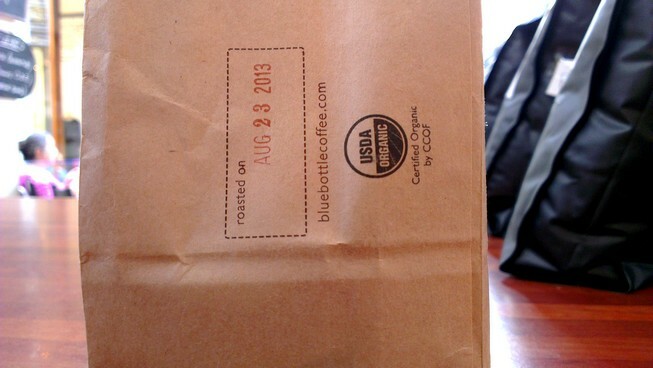 ), with their Bright Note and Rogue blends. First up is Bright Note. 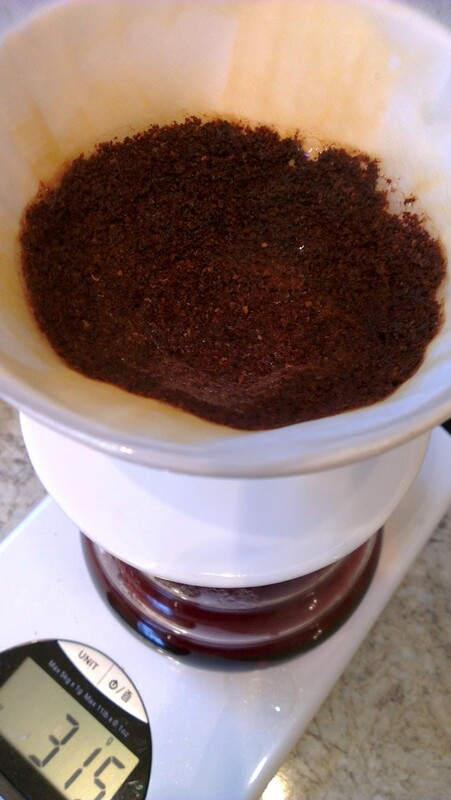 This is currently composed of two coffees from the Lambari farm in Brazil (a pulp and a full natural), Rwandan Gashonga, and also Cobahue from Guatemala. 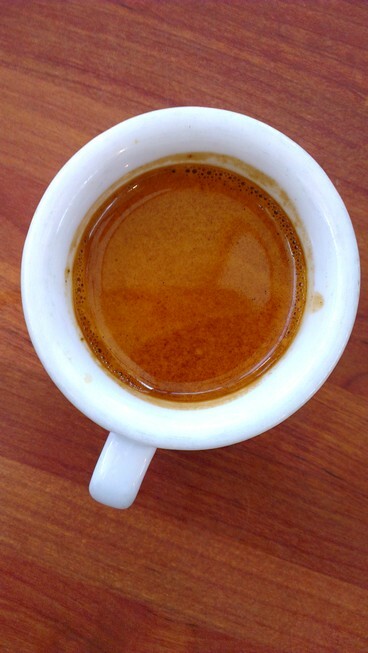 Later on, we will also be brewing Rogue espresso, a blend composed of Brazilian Fazenda Bob-o-link and Colombian Asprotimana. I could string together some more, or less, useful sentences where the phrase ‘Italian’ would crop-up (positively) several times, but won’t. 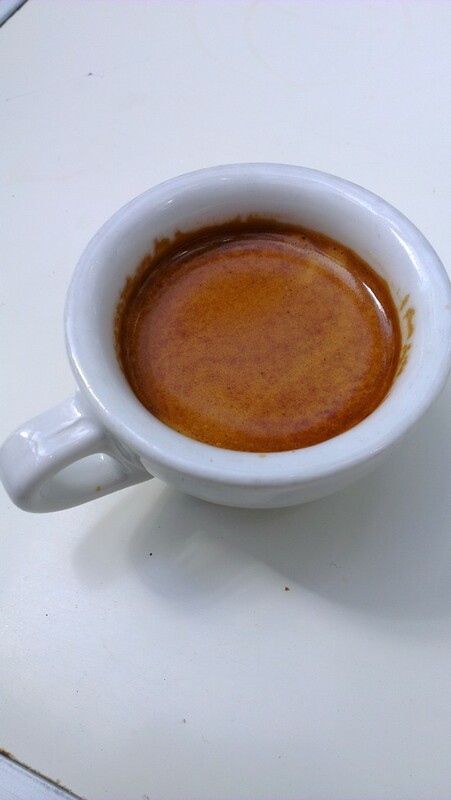 Whereas from James’ Gourmet roasters, there will be the latest incarnation of the Caffe Naturelle espresso blend in between, after finishing the last of their Colombian SOE Finca La Paz today (tomato!!). 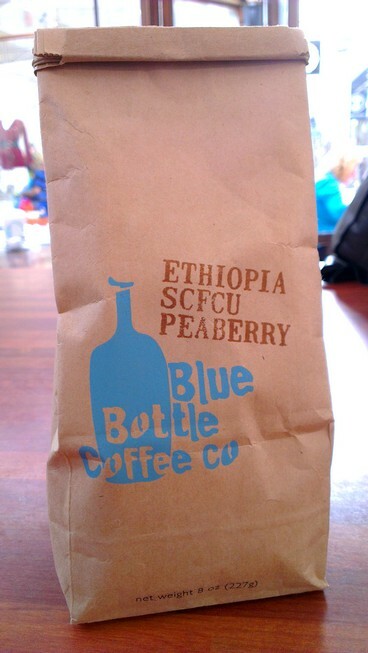 And from JGC for French Press (or filter beans for home), we have Cup of Excellence Brazilian Serra Dos Crioulos, Kenyan Kirimahiga, and the Habesha Ethiopian blend, featuring two Yirgacheffes (one washed, and one natural; Aricha Keble), with one Limu. Fun with new phone – just playing! 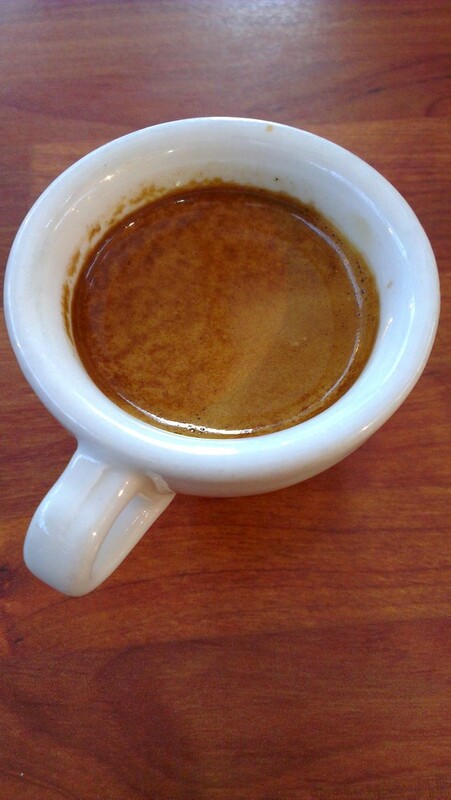 Naturelle seasonal organic espresso. 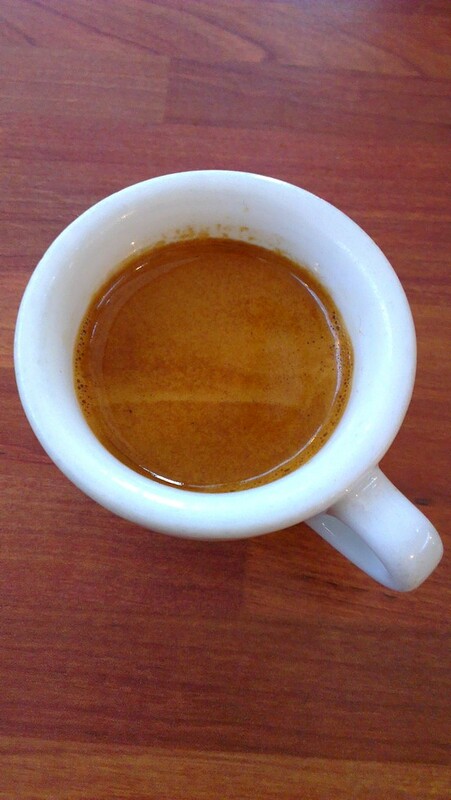 Currently featuring Guji Shakiso (washed single farm/Coop in the Guji mountains, Oromia region, southern Ethiopia) combined with Finca Bourbon washed Guatemalan single estate. And, I’m pleased and excited to announce that Caffeine Magazine will be available at the plan cafe from later this week – for all our customers!! Also (rare non coffee related news allowed on my site – sorry! 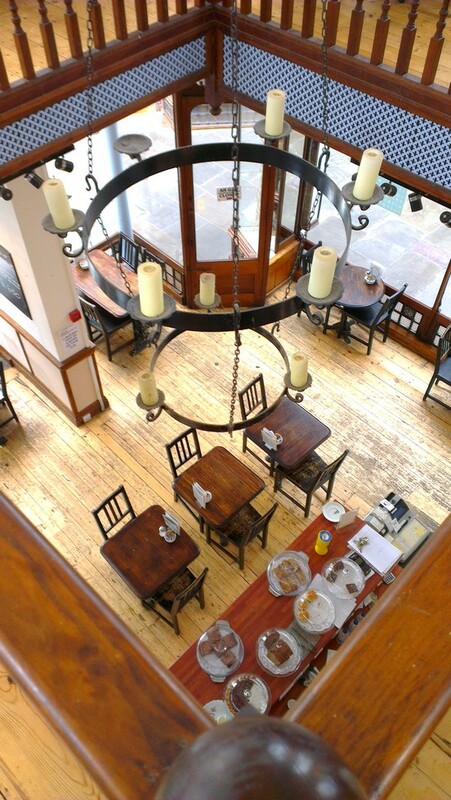 ), Cardiff Comedy Festival 2013 continues at the cafe: Every Thursday evening in July, the plan is hosting Storytelling, with a different theme each week. 6pm. £3.50 on the door. 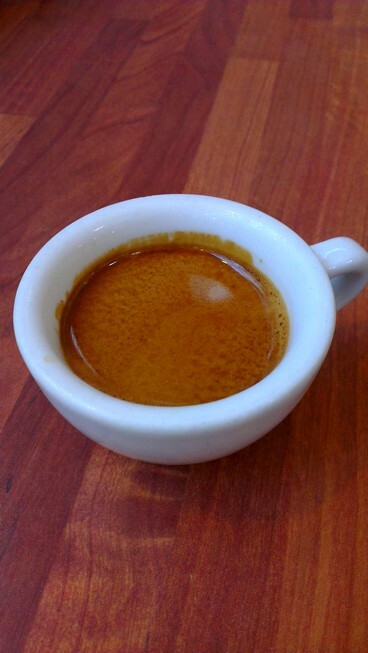 And, New Guest Roasters for our espresso approaching …fast! Watch this space. Rested and Dialled to… ON position! Grounds… I could look at grounds all day. Sometimes I almost do! Laser particle sizing completed (for the time being). Now reassessing with… eyes, fingers, and mouth!